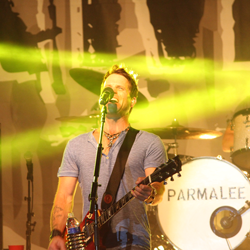 Parmalee's country rock sound has its roots in the bluegrass, traditional country, southern rock and blues covers the guys grew up hearing their families play. 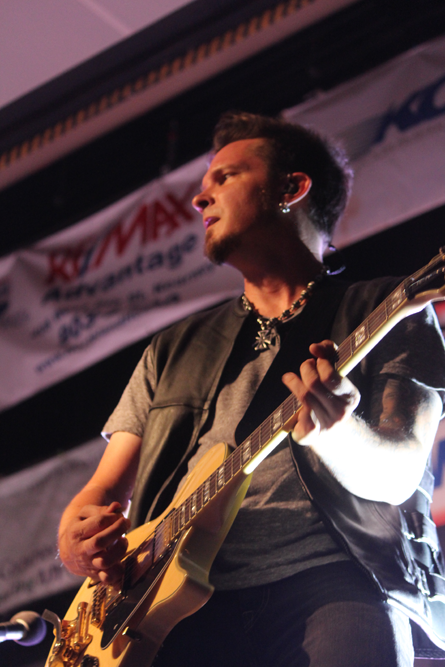 The Thomas Brothers Band cut their teeth on the local club circuit and would often share the same marquee with a cover band that starred their friend Josh McSwain on guitar and keys. 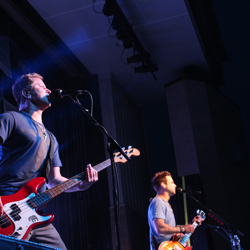 Josh's upbringing paralleled Matt, Scott and Barry's. 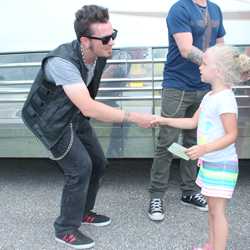 Josh also traveled and played with his father who was in a bluegrass band called "Get Honked." 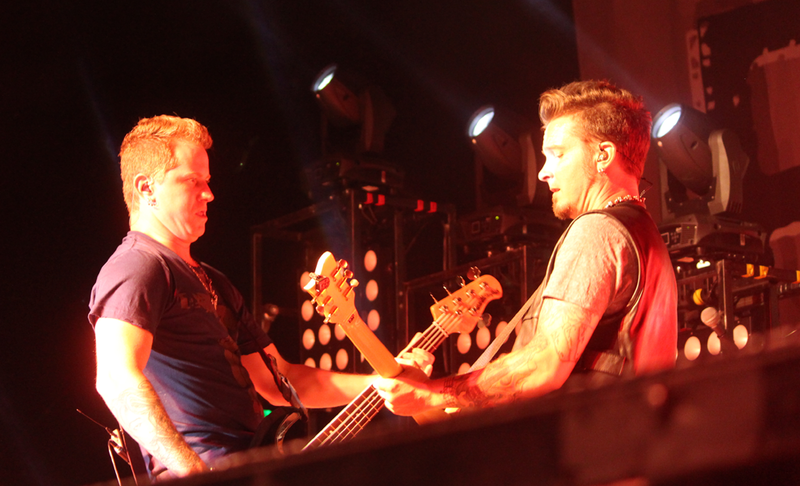 A fan of Josh's musical prowess, Matt invited Josh to play with Barry, Scott and himself. 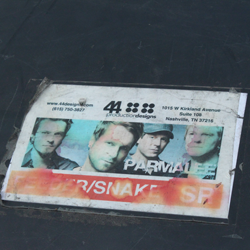 The foursome clicked immediately on stage. 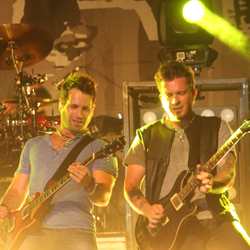 Their first gig was held at local watering hole, Corrigans, near East Carolina University where the guys went to school. 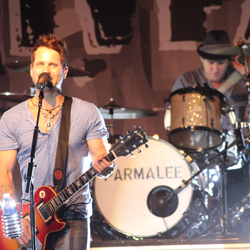 From this moment in 2001 Parmalee was born. 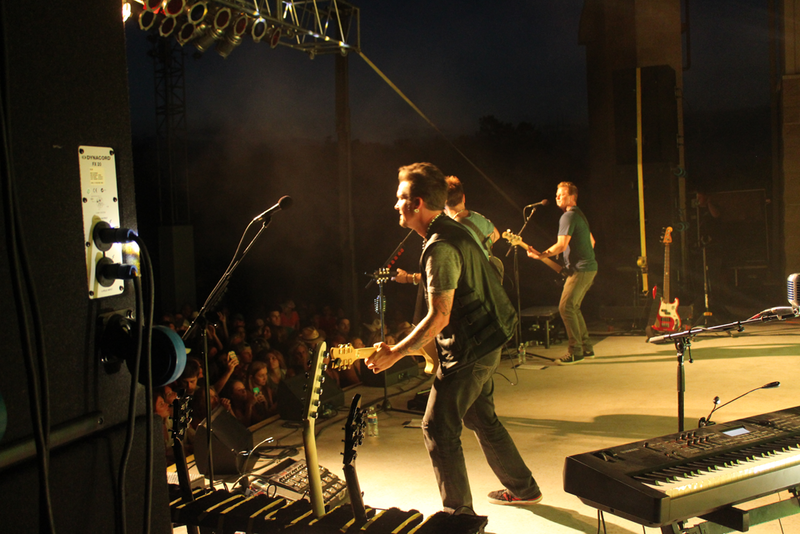 The band set up camp every Tuesday and Thursday evening in the Parmele, NC barn they named Studio B after its original builder Mark Bryant. 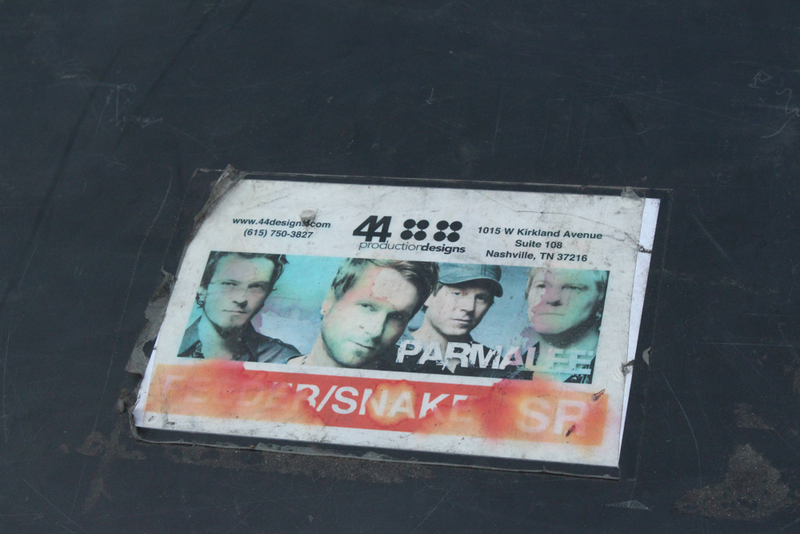 They added an extra "e" to the band's name to make it easier for those outside the area to pronounce it. 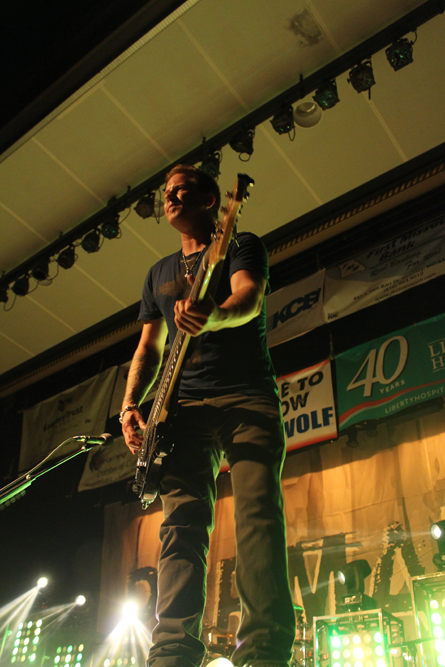 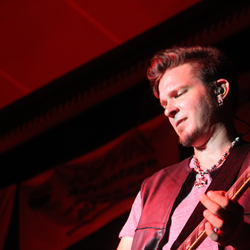 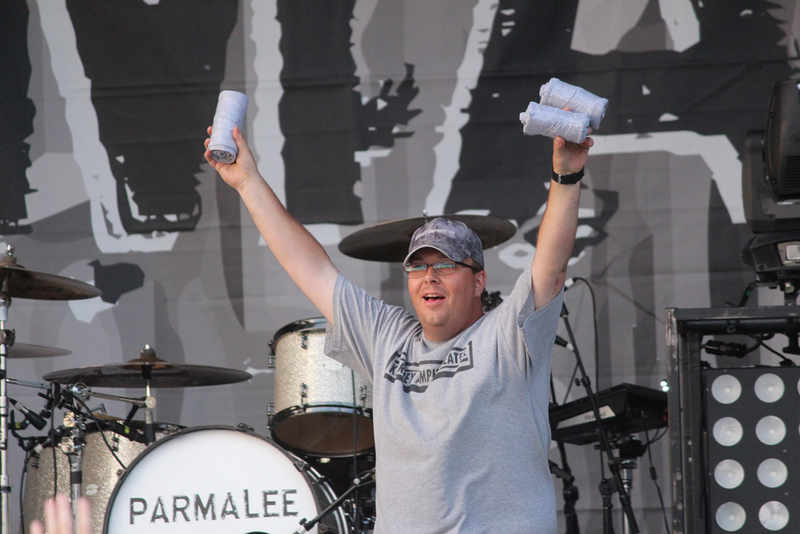 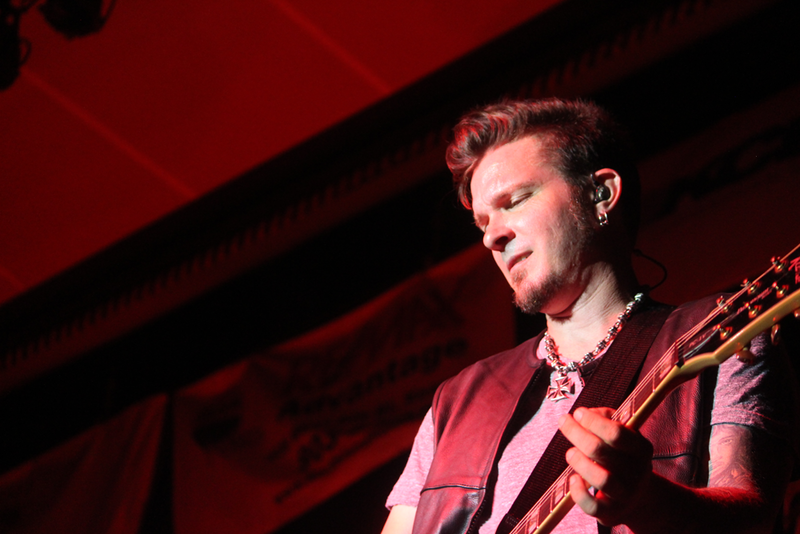 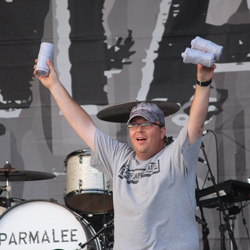 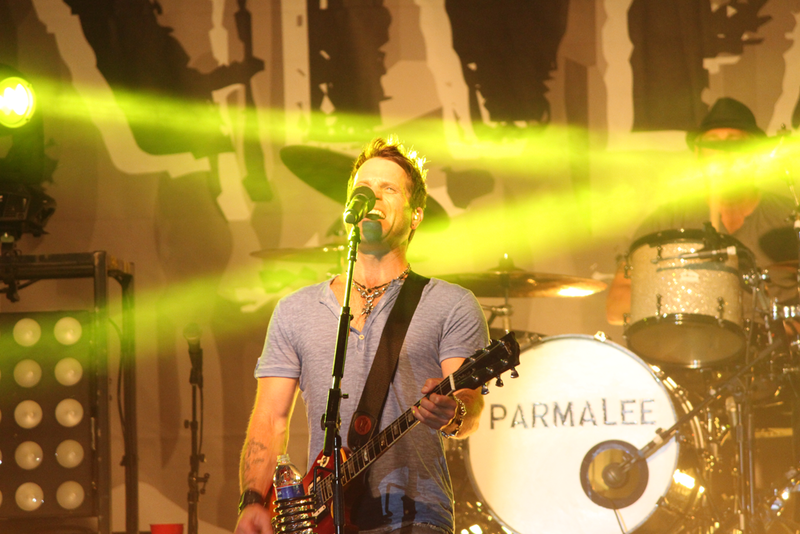 "Tuesdays and Thursdays were the only nights we could all get together and rehearse - the rest of the time we were each out working in order to fund Parmalee," Matt says. 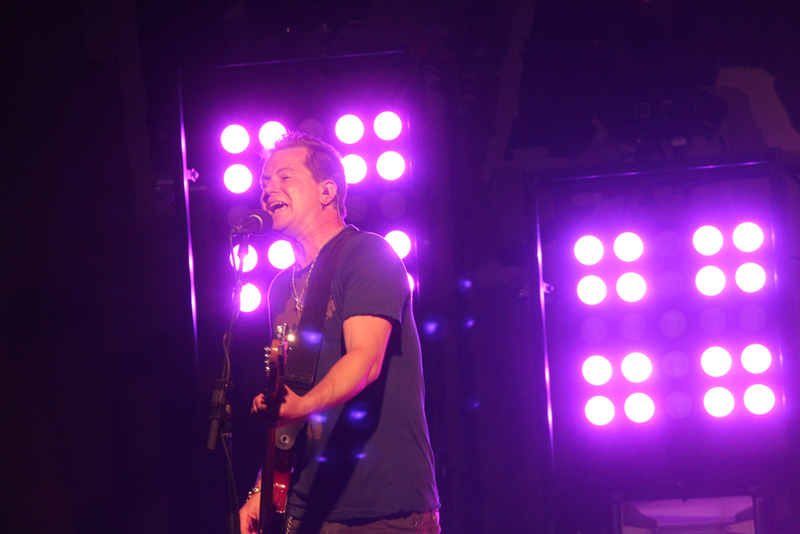 "Every person in town could hear us practice in the barn, so we also had to stop at 11 p.m. to be considerate of the neighborhood." 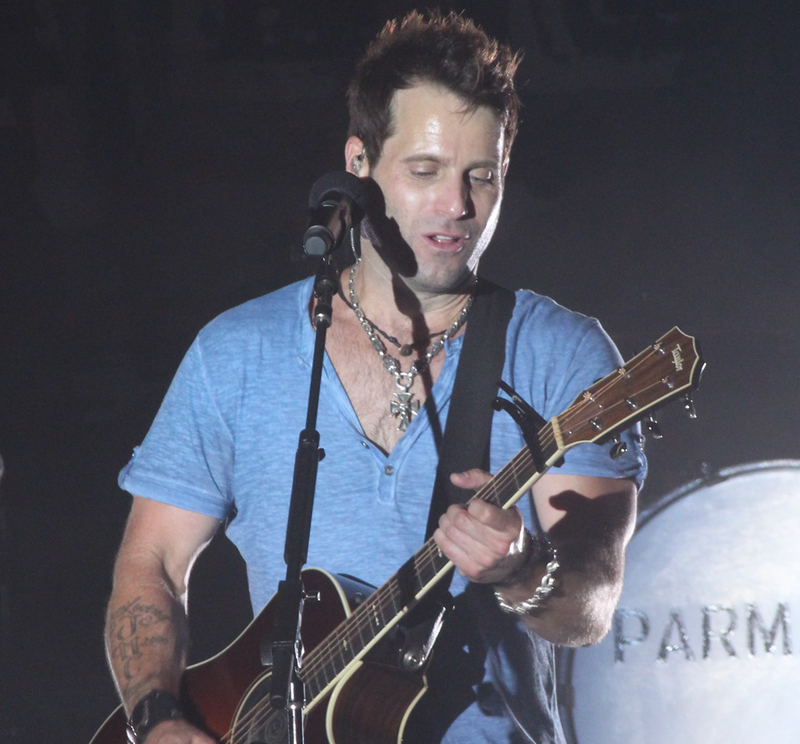 During the same weekend as the infamous Nashville flood, Parmalee and Fanning wrote "Musta Had a Good Time" - even recording the demo in the RV's recording "studio" - oblivious to the devastation that was happening to the city around them. 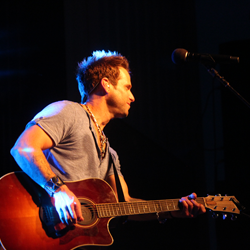 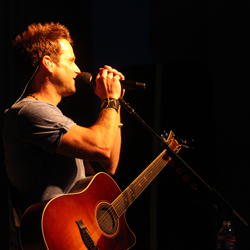 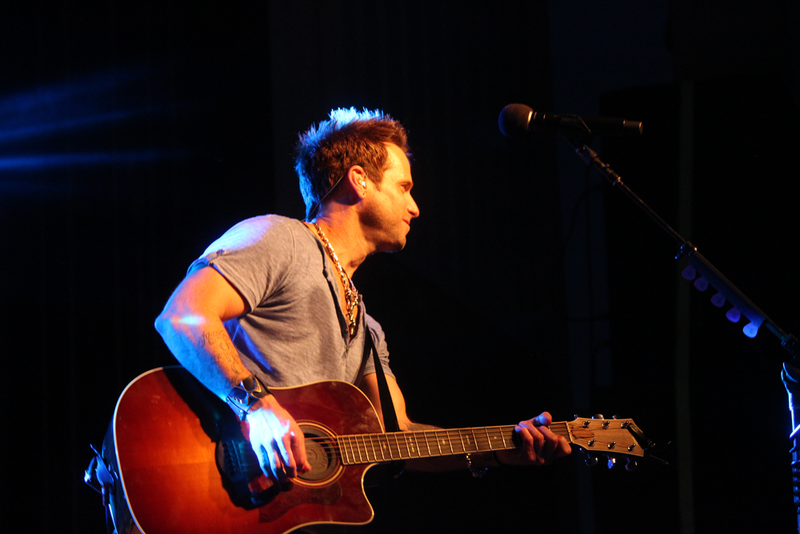 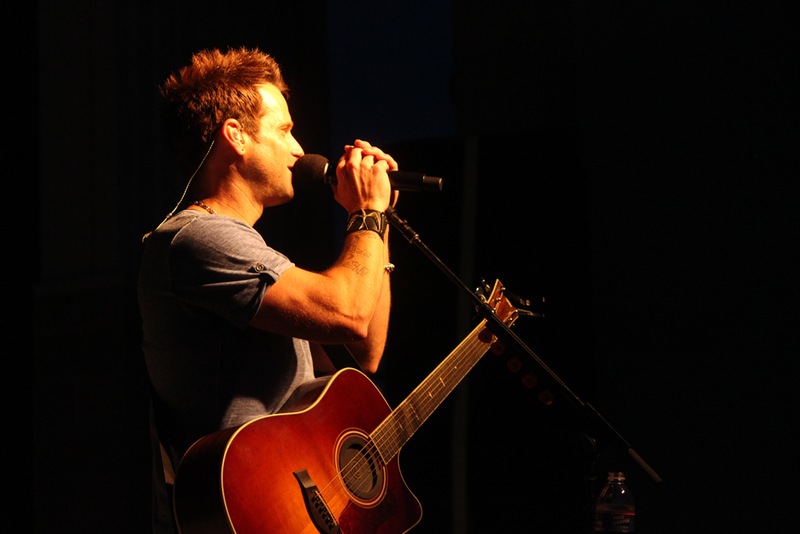 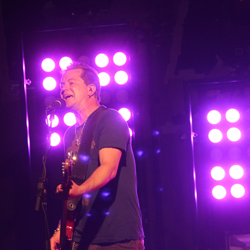 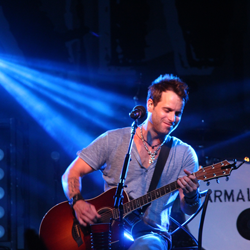 After the "Flood Sessions," Parmalee went into the studio with New Voice to record some sides, including "Carolina," and "Musta Had a Good Time." 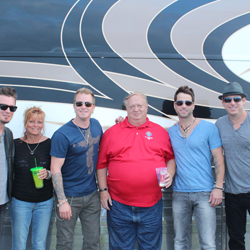 NV played the songs for BBR Music Group President/CEO Benny Brown who was impressed and asked to see a showcase as soon as the band returned to Nashville. 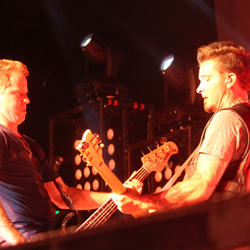 After their September 21, 2010 show, Josh and Barry were packing gear in the venue while Matt and Scott were outside loading their RV when two armed men knocked on the door. 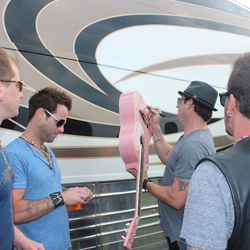 The men put a gun to Matt's head and demanded money. 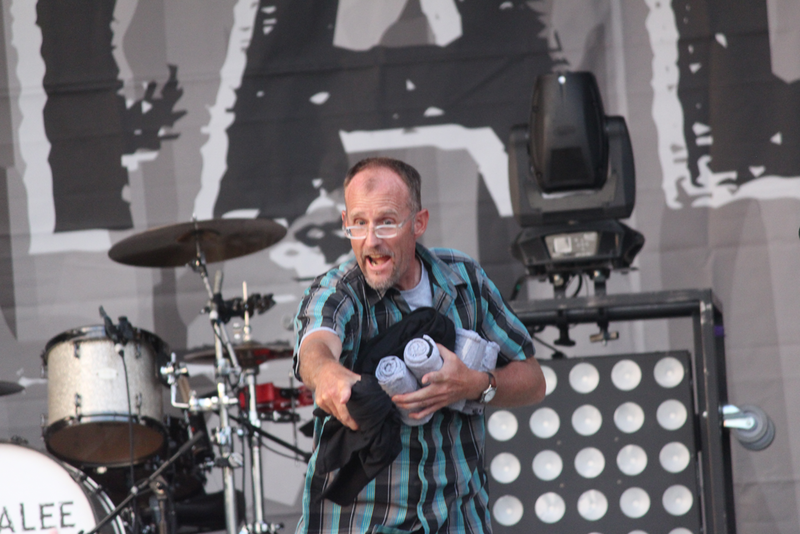 Shots were fired. 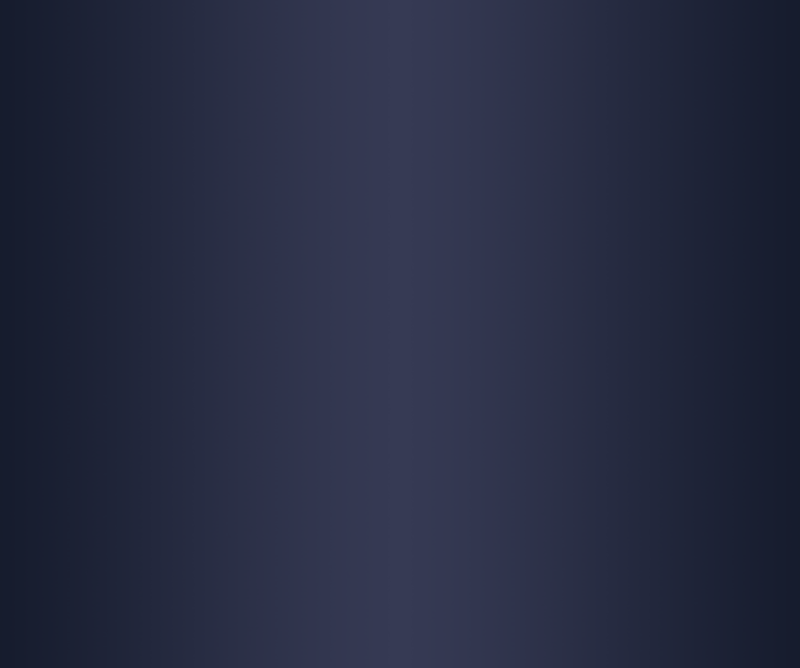 Scott, who possessed a concealed weapons license, fired back. 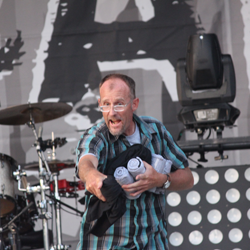 One of the gunmen died and Scott was shot three times. 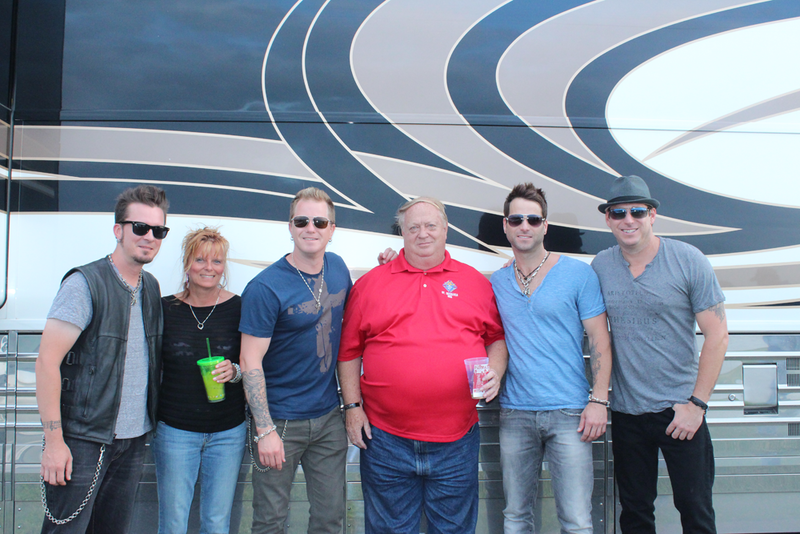 One bullet hit Scott's femoral artery causing him to nearly bleed to death. 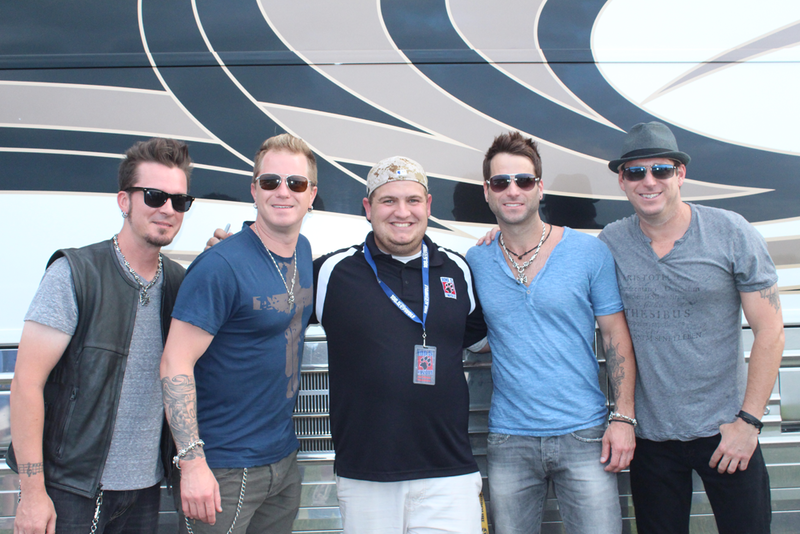 "He bled out on the air flight to Charlotte, and his heart stopped twice," Matt recalls. 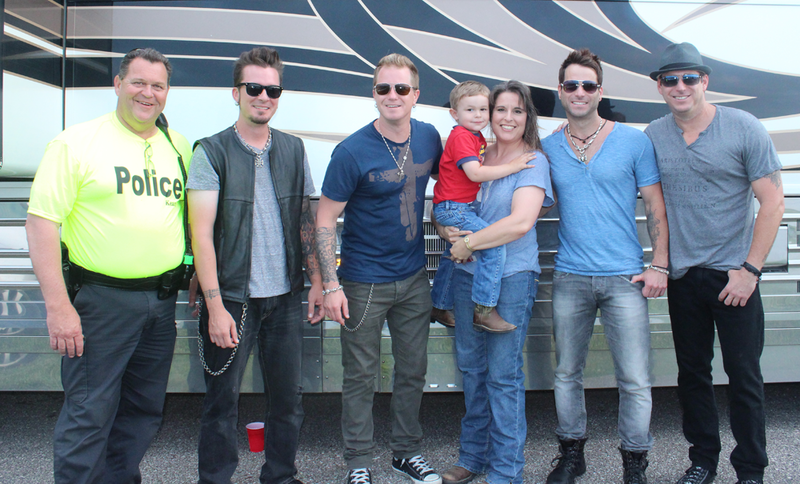 "When we got to the hospital, the doctor gave him a five percent chance to live." 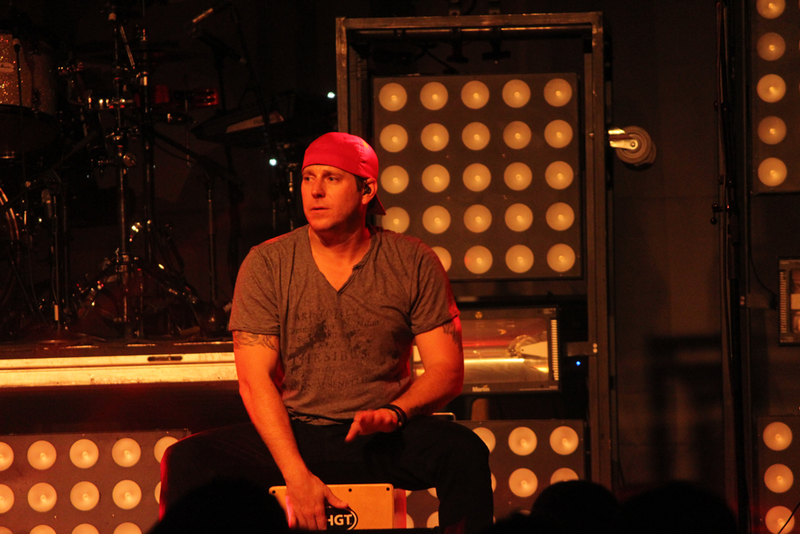 Scott was hospitalized in Charlotte, NC for 35 days - 10 of which he spent in a coma. 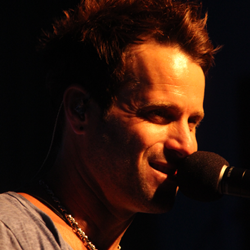 News of the shooting spread like wildfire and the local news stations carried weekly reports on Scott's progress. 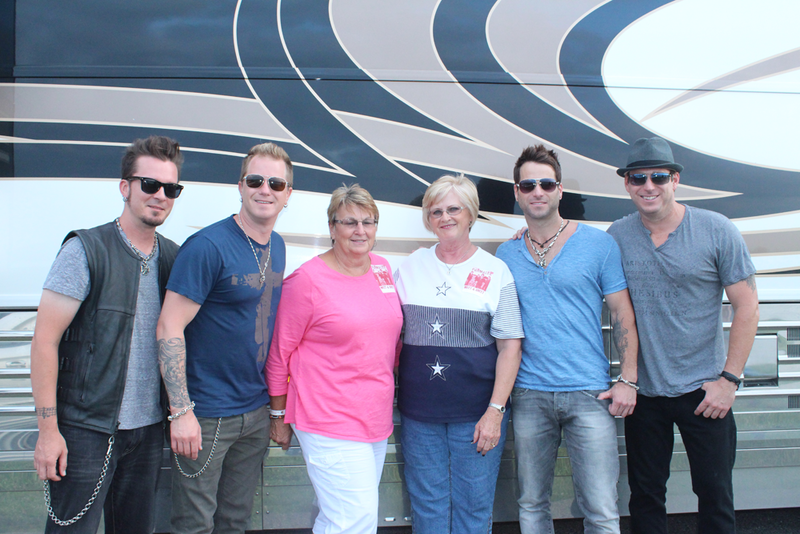 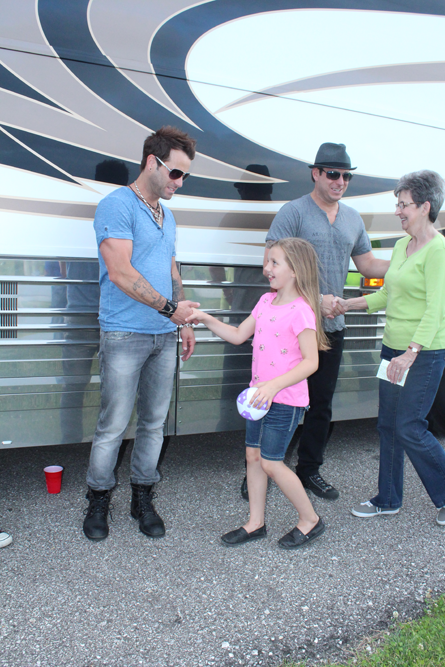 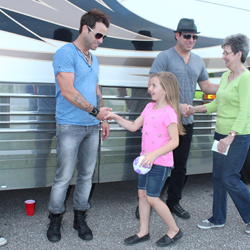 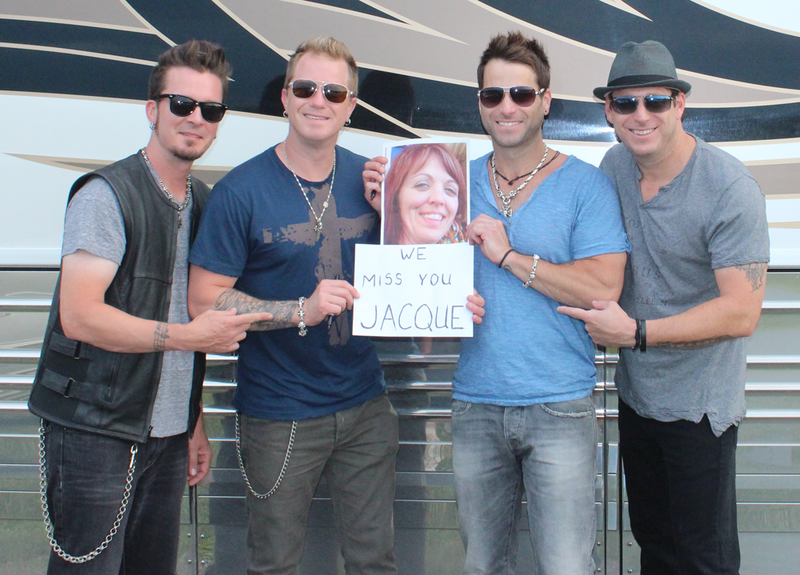 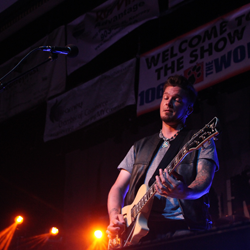 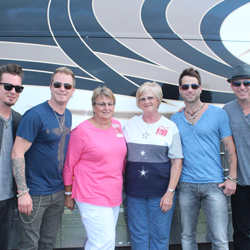 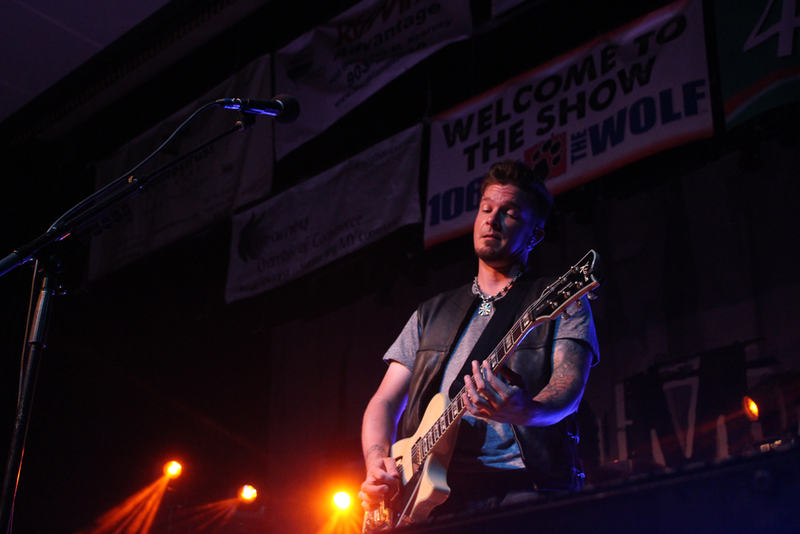 Parmalee's fans turned out in droves to show their support. 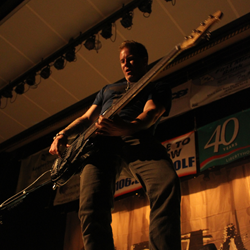 Through Facebook campaigns and benefits they raised enough money to help cover Scott's medical bills. 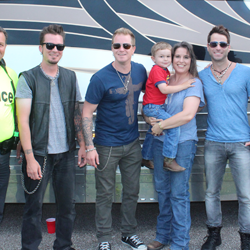 The Nashville community also rallied behind Parmalee donating autographed items and VIP packages to help cover Scott's medical expenses. 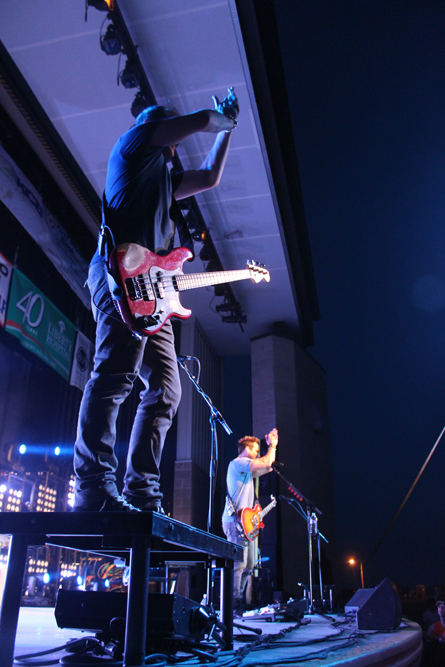 "We knew we had a lot of friends and fans," Josh says. 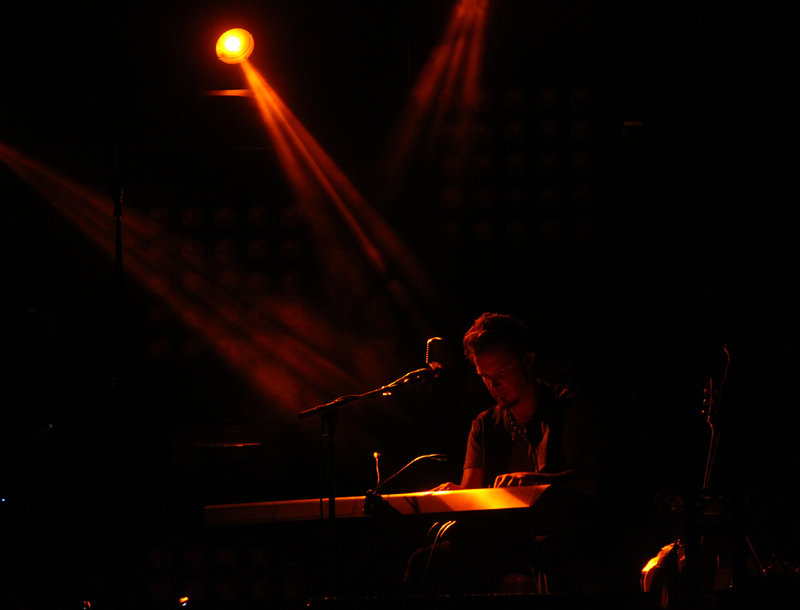 "But we found out exactly how many we had." 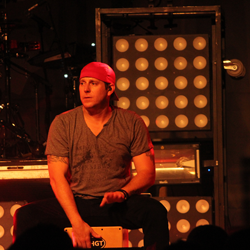 By February 2011, Scott was well enough to get behind a drum kit for the first time and the band finally performed their promised label showcase. 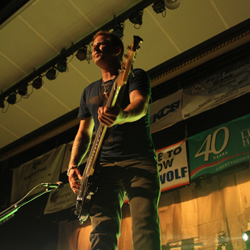 "We wouldn't tell everybody how bad off I was because there was no way I wasn't going to play that show," Scott says. 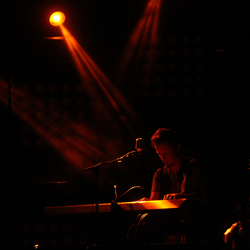 "I was in a leg brace, but I only had to get through six songs. 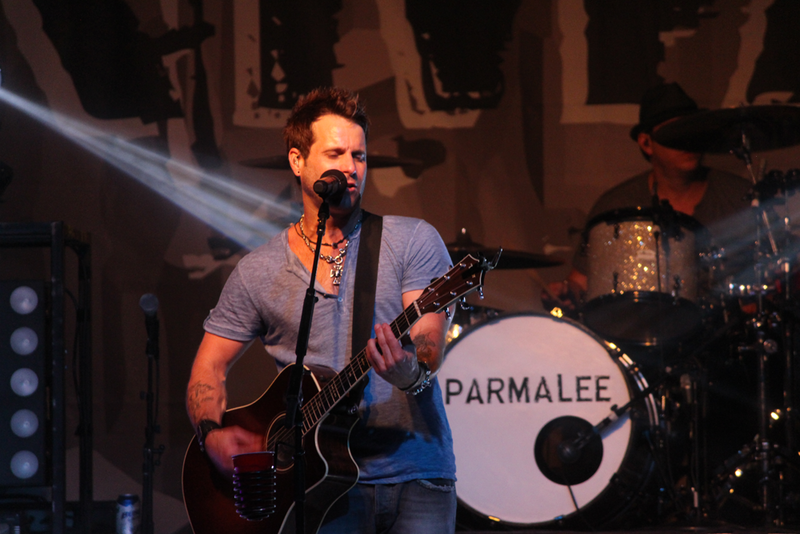 Parmalee had fought for so much for so long that we decided we hadn't come this far to stop now." 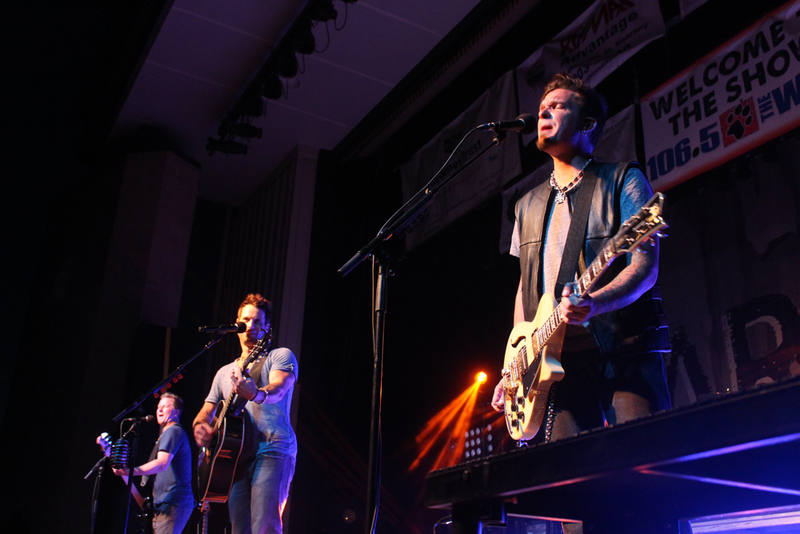 Through sheer willpower, the band nailed the set and landed a deal with Stoney Creek Records, home to ACM Vocal Duo of the Year Thompson Square and chart-topper Randy Houser. 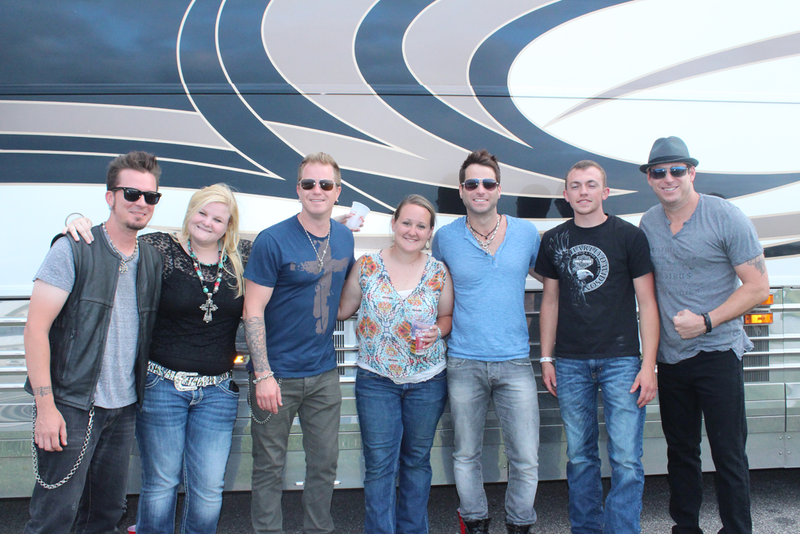 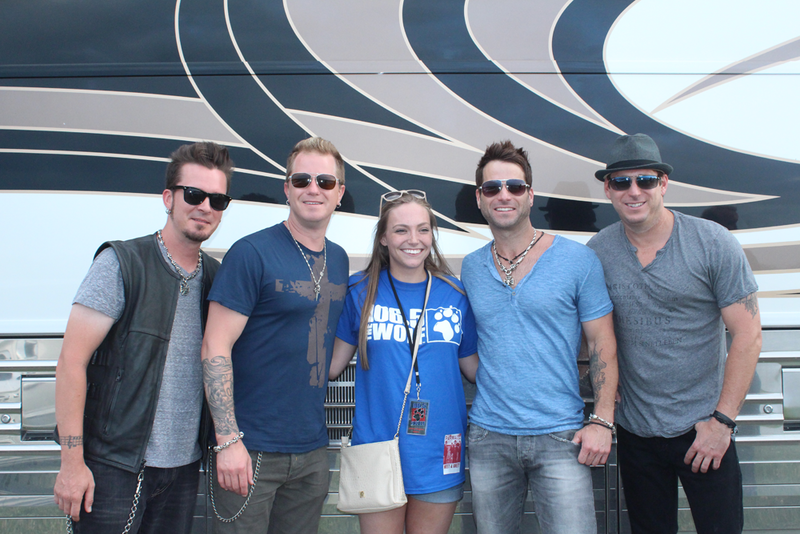 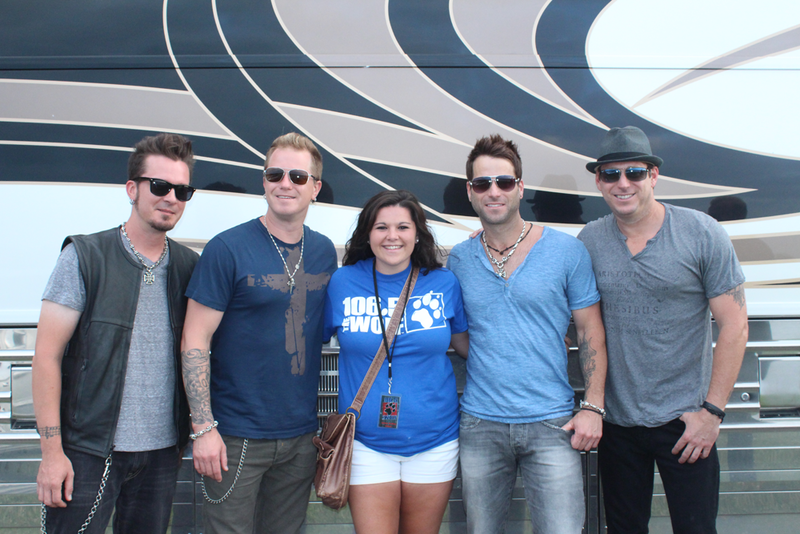 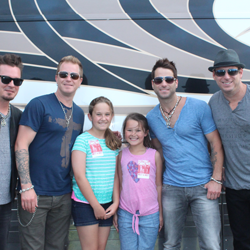 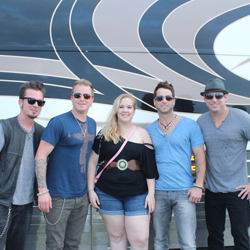 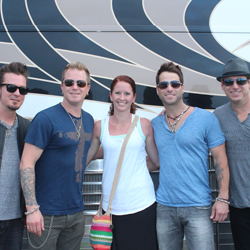 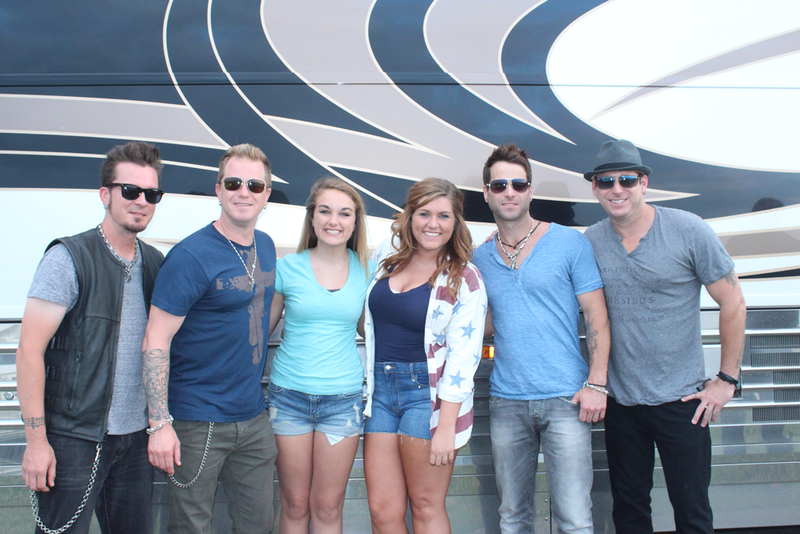 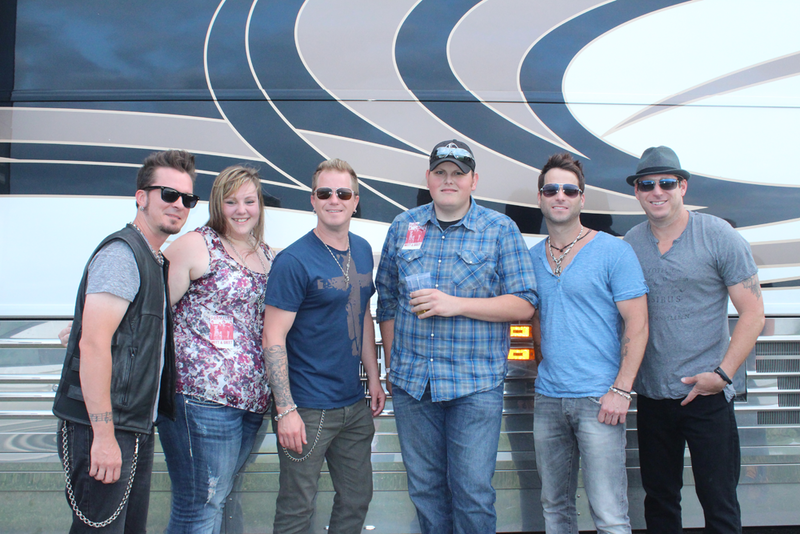 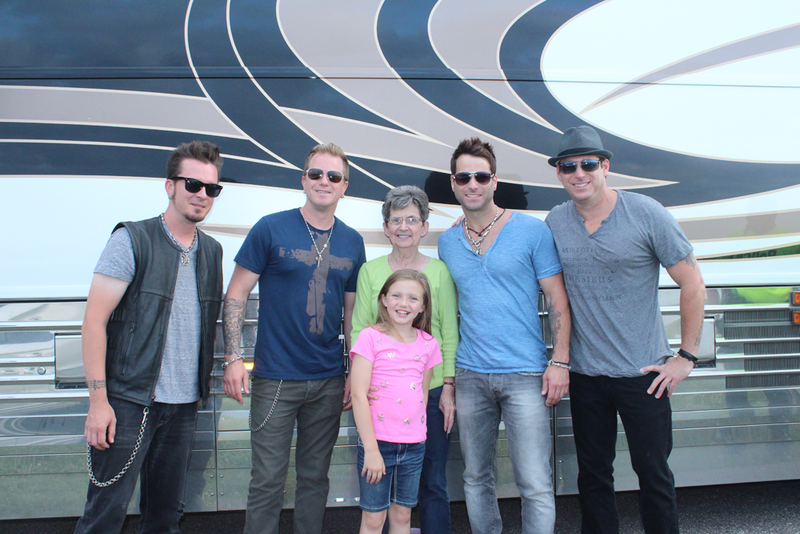 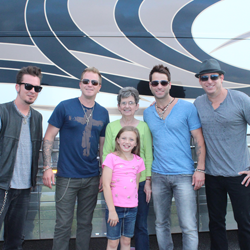 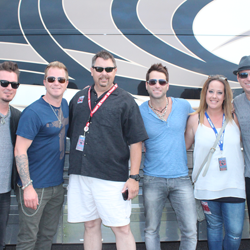 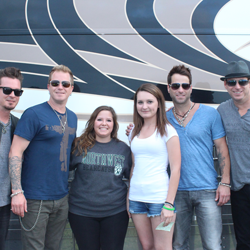 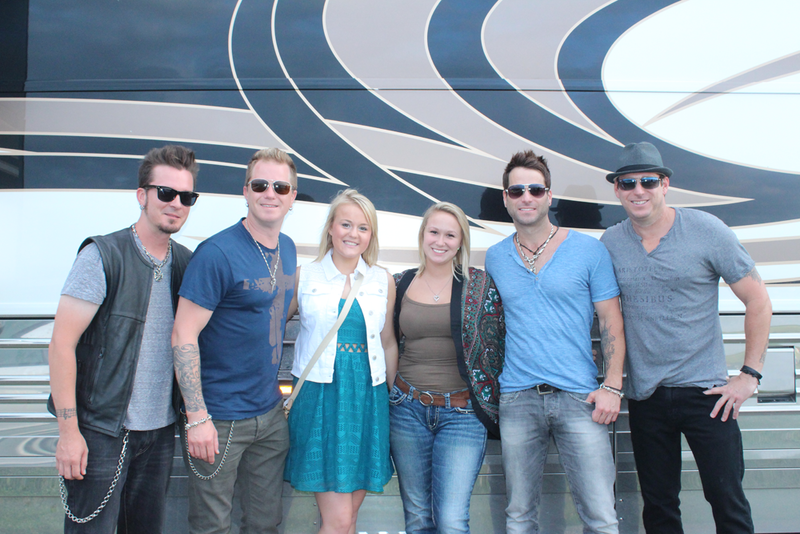 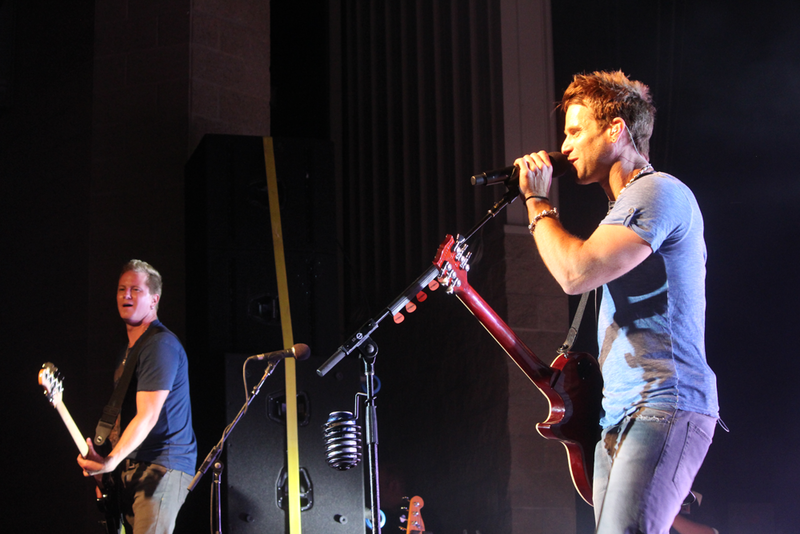 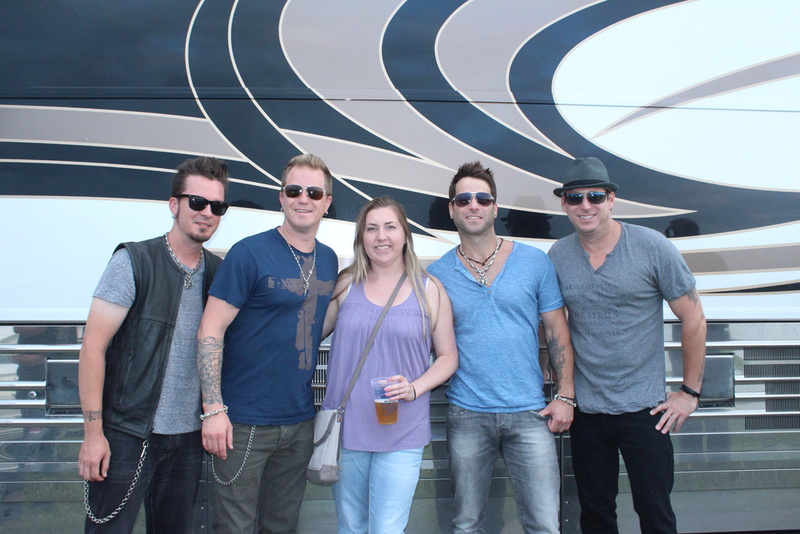 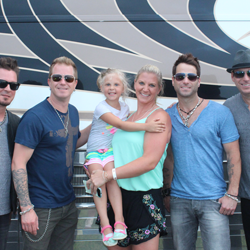 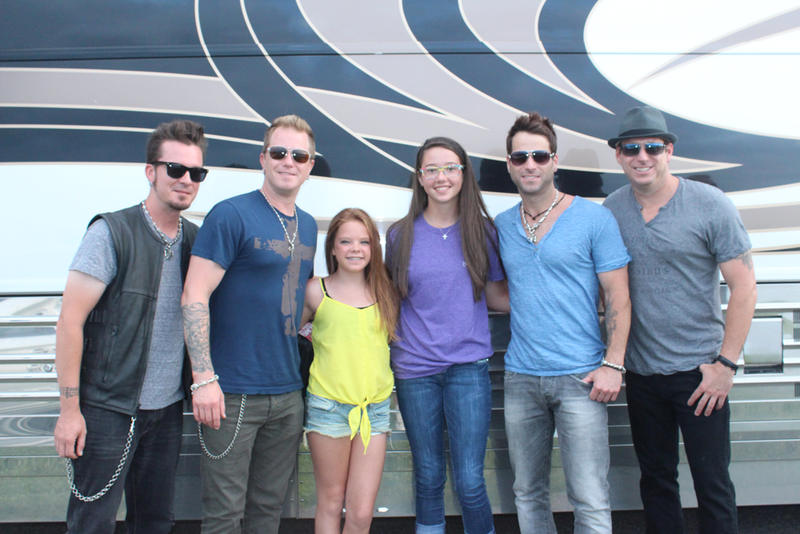 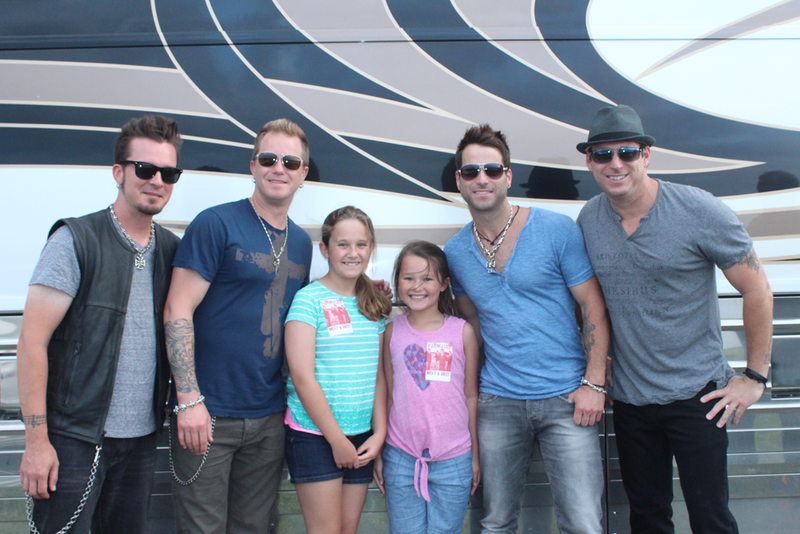 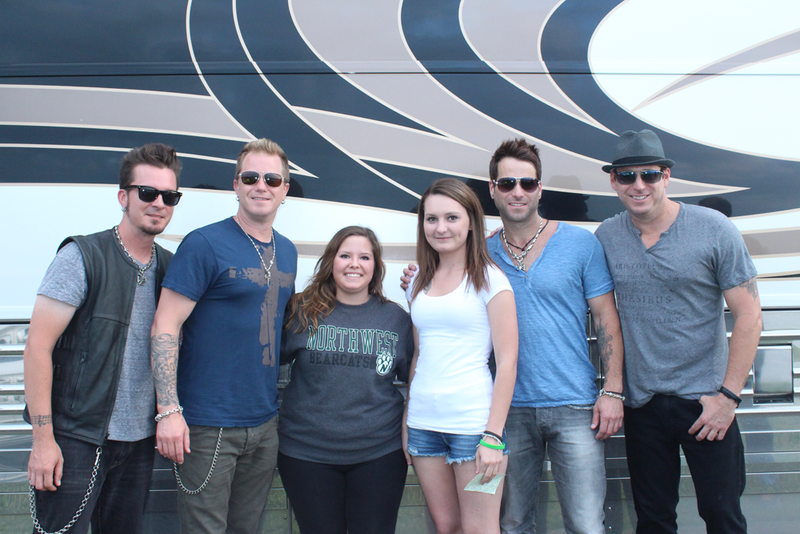 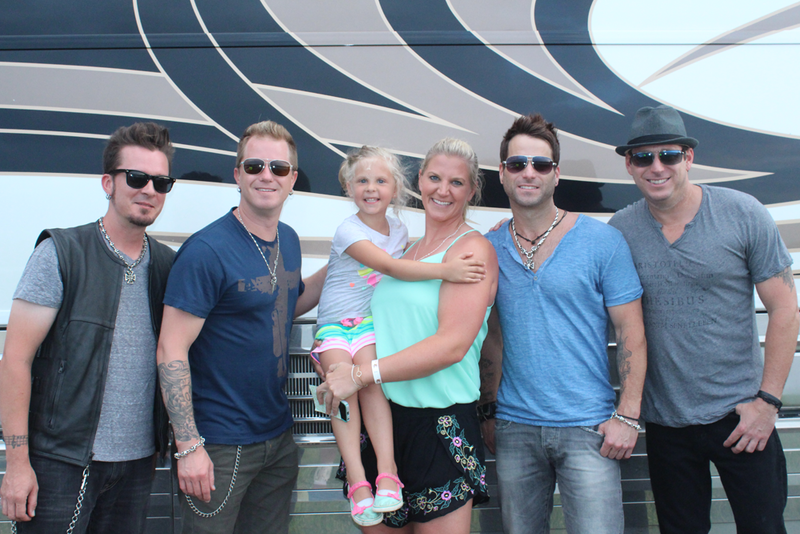 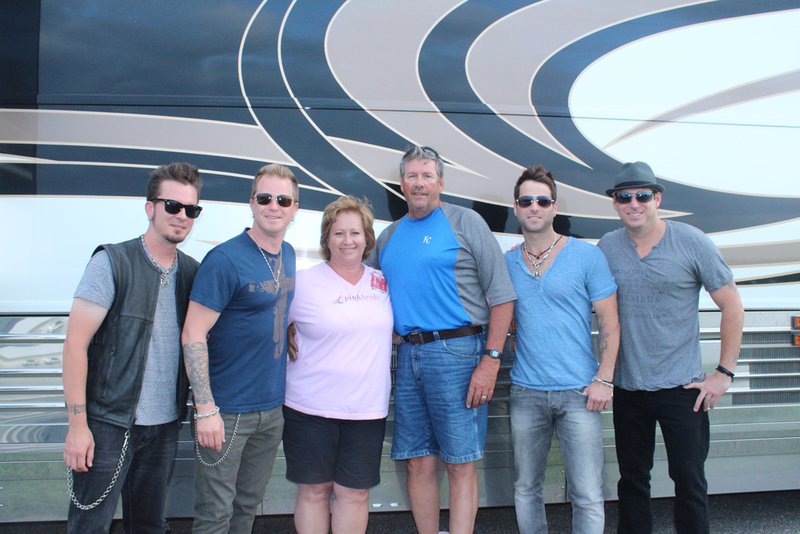 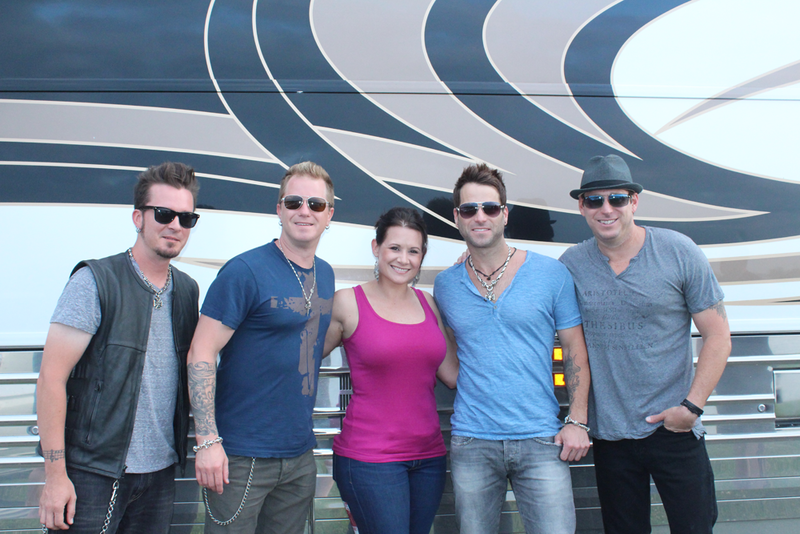 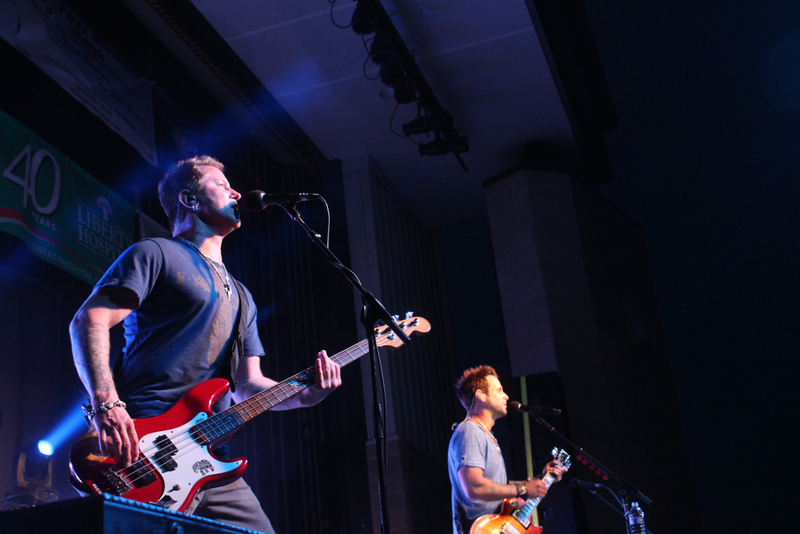 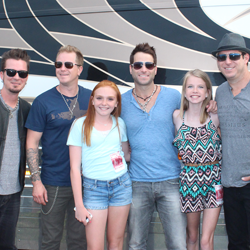 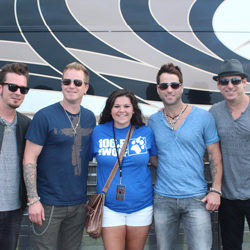 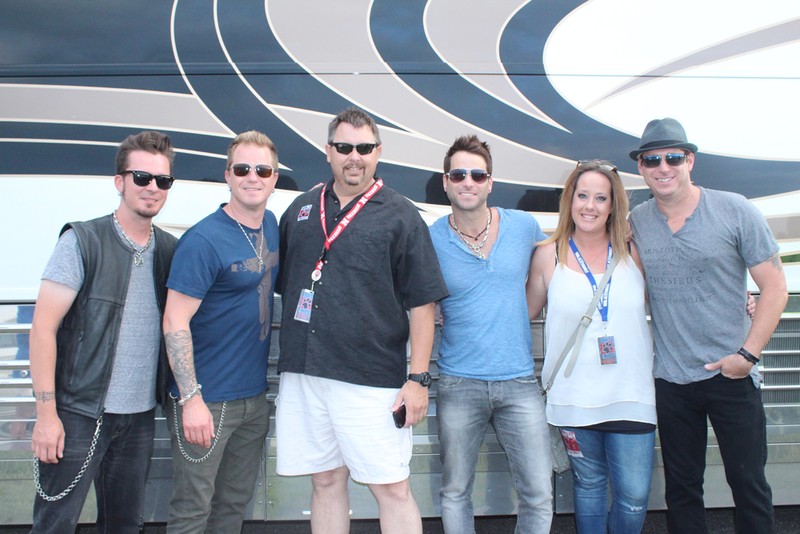 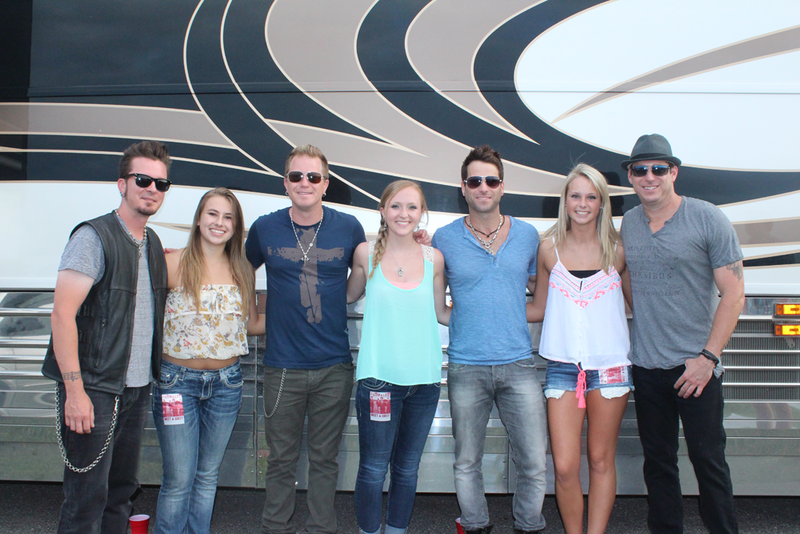 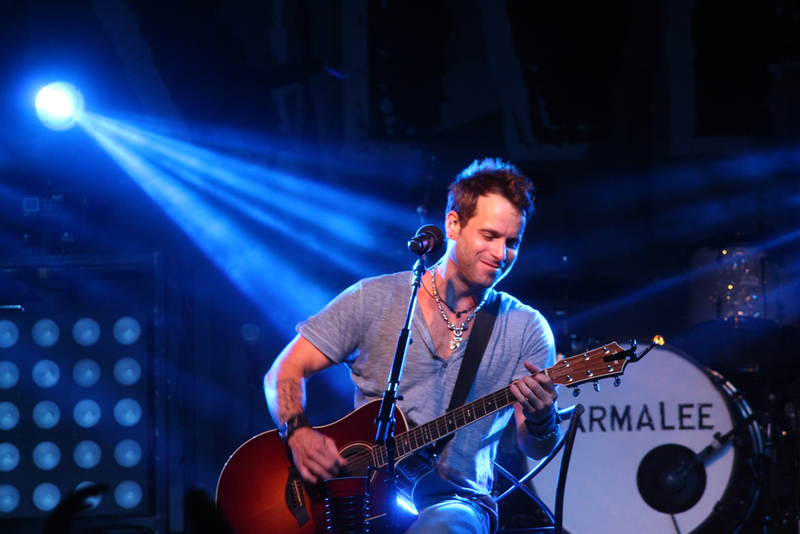 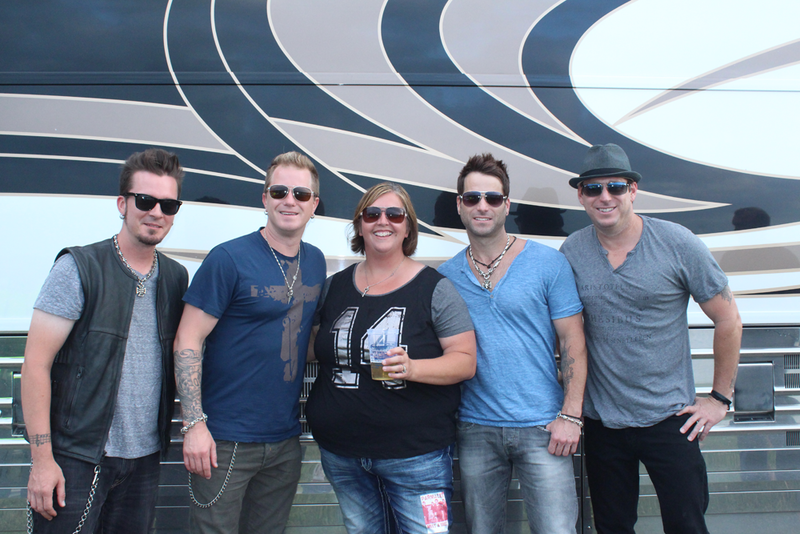 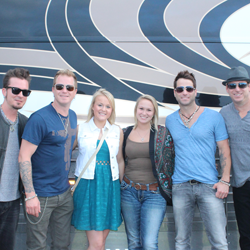 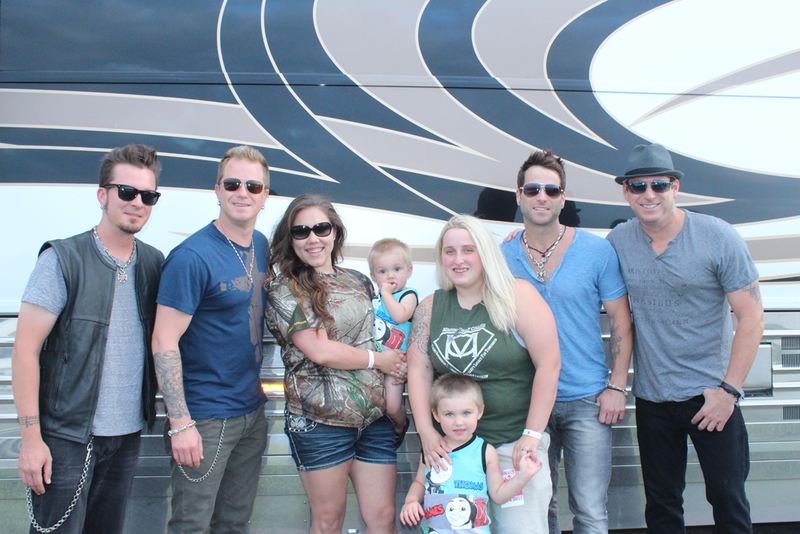 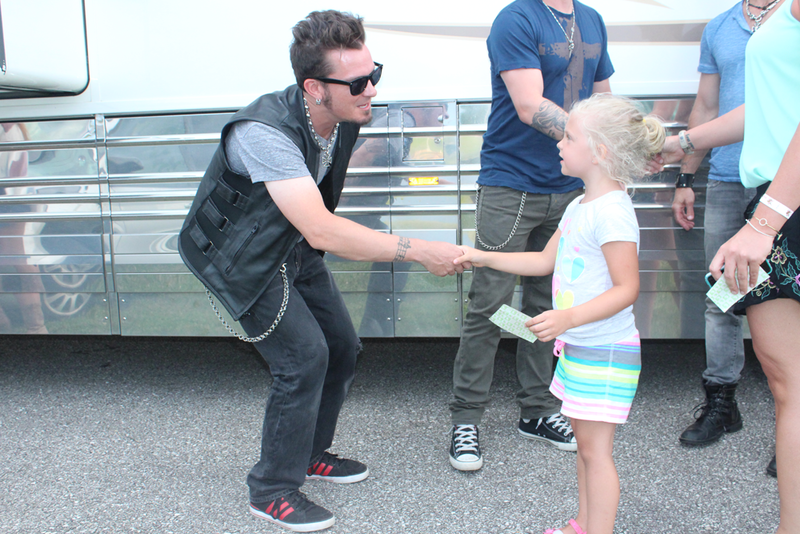 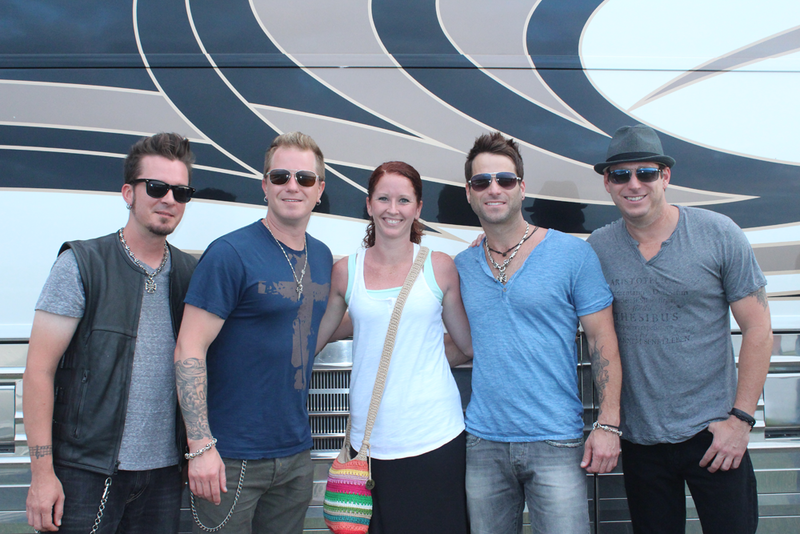 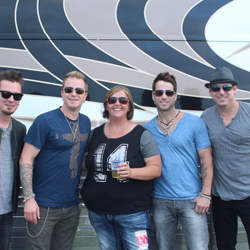 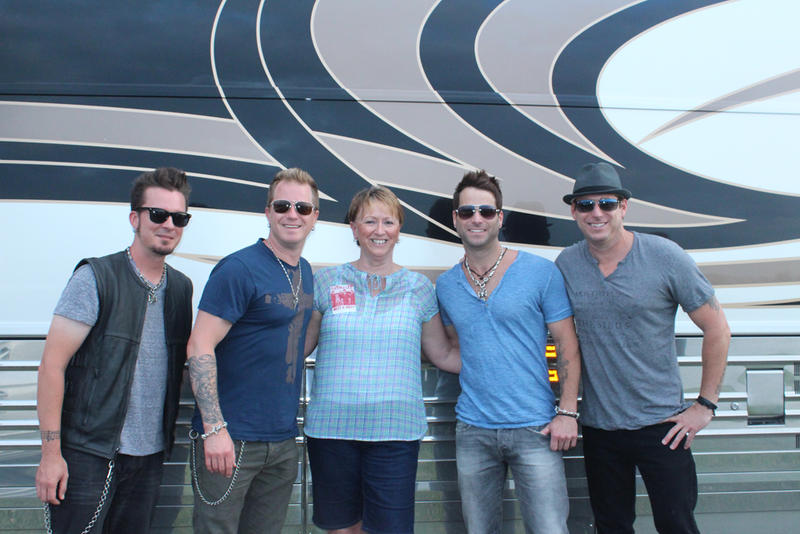 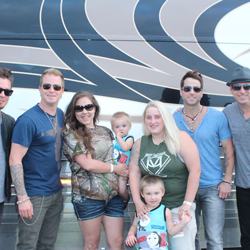 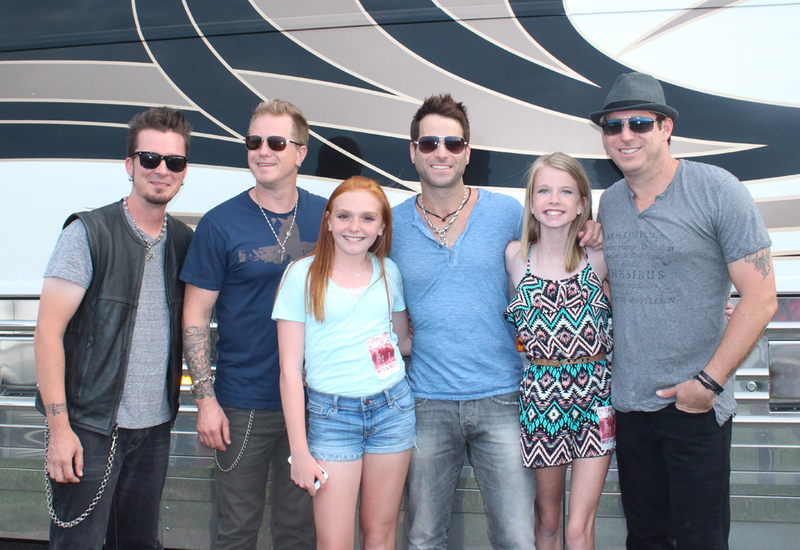 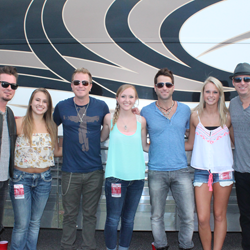 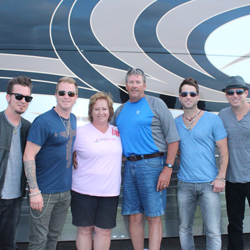 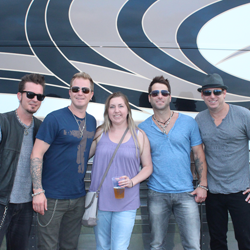 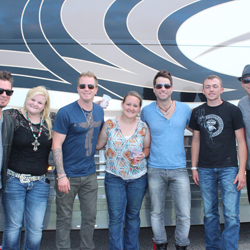 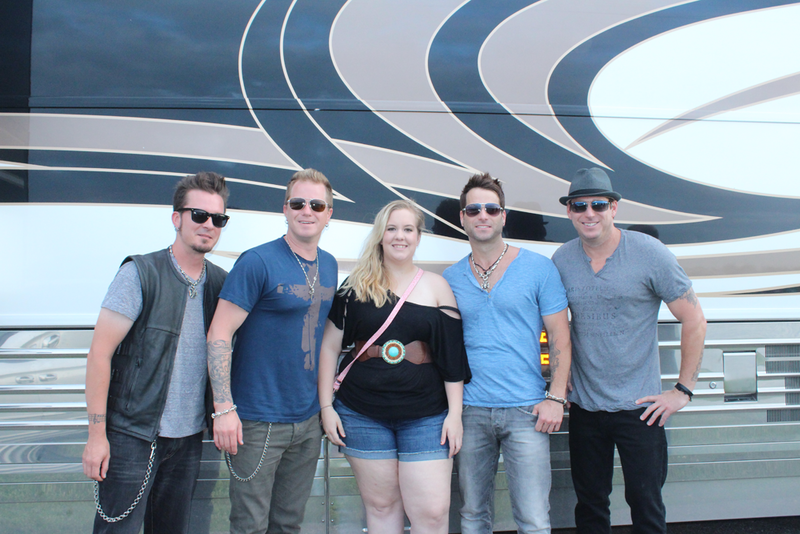 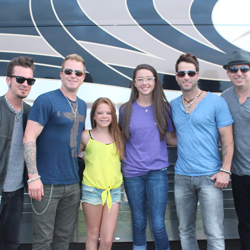 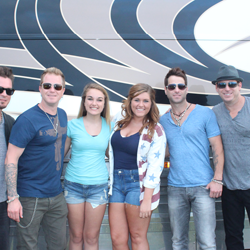 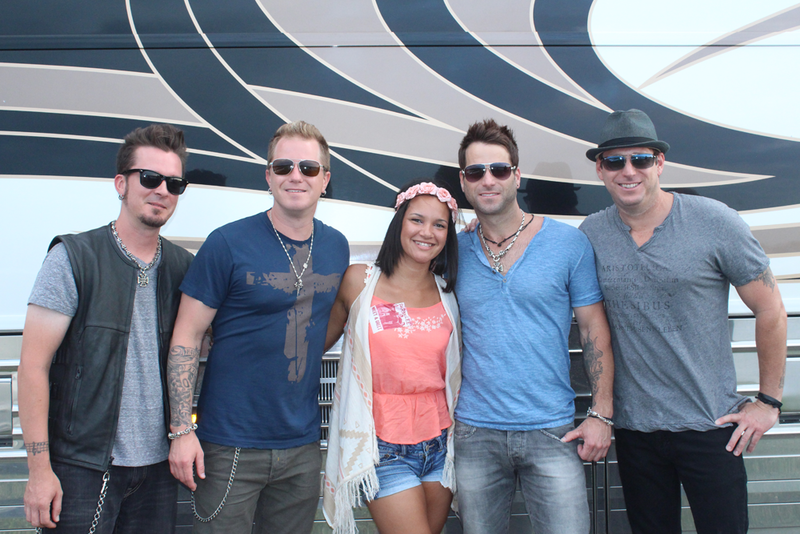 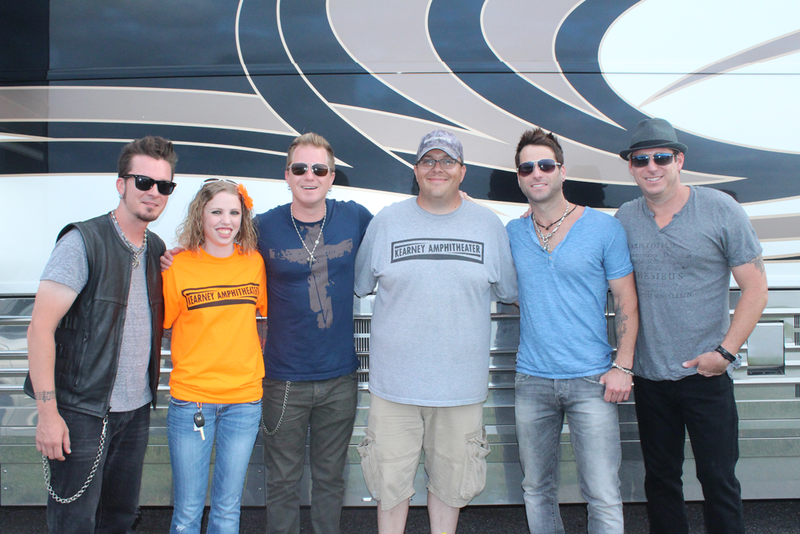 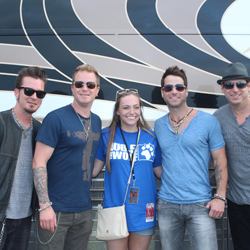 All of Parmalee's hard work, dedication and perseverance is paying off in a big way. 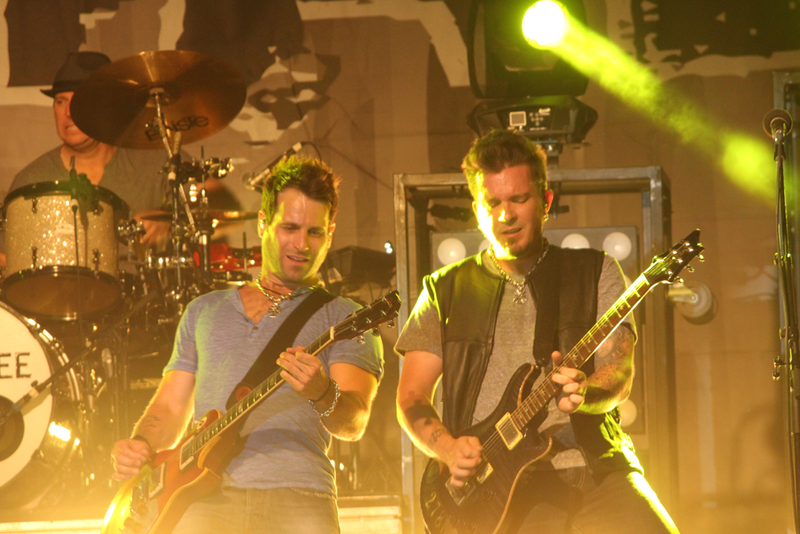 Country fans voted the band's debut single, "Musta Had A Good Time," #1 for 4 consecutive weeks on SiriusXM's The Highway "Hot 30 LIVE" countdown and the song became a Top 40 hit on mainstream country radio. 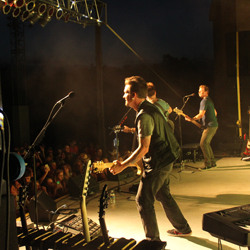 The fun-loving party anthem has been featured in national sporting event broadcasts from the PGA to MLB. 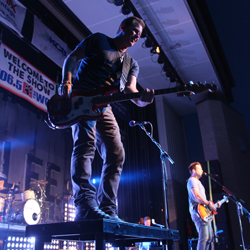 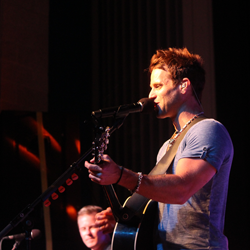 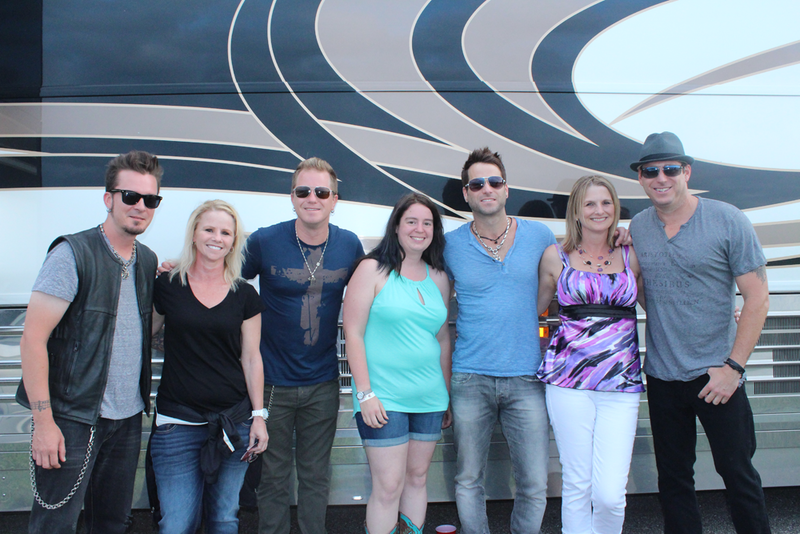 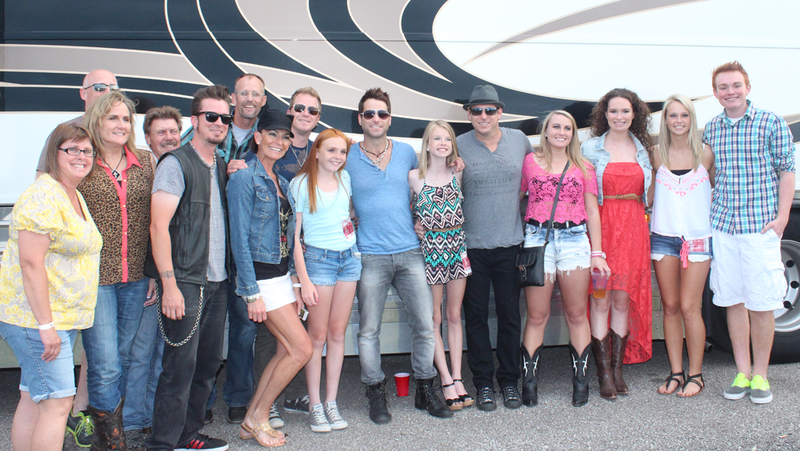 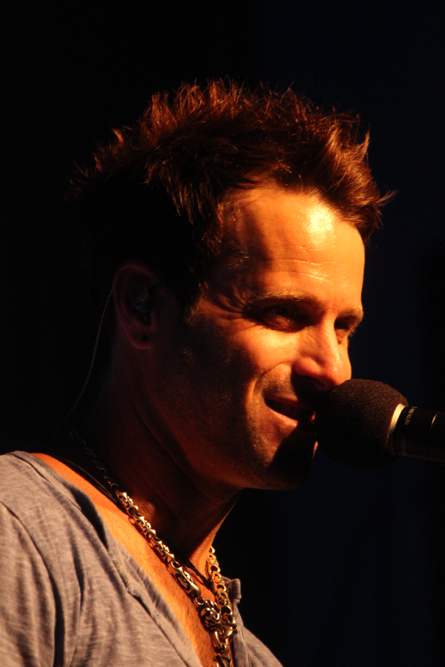 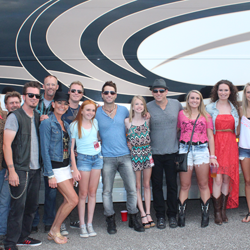 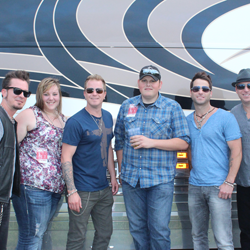 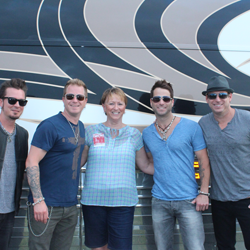 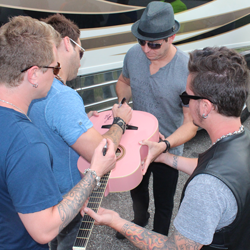 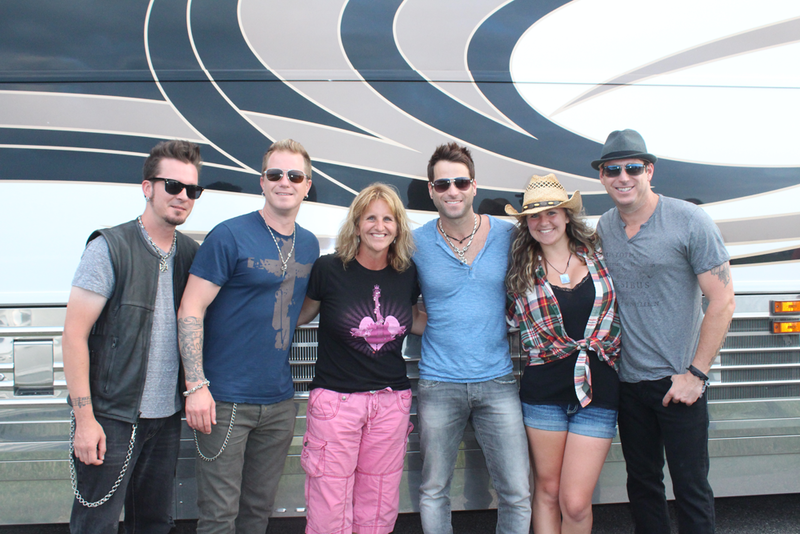 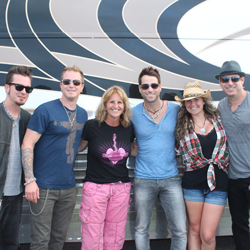 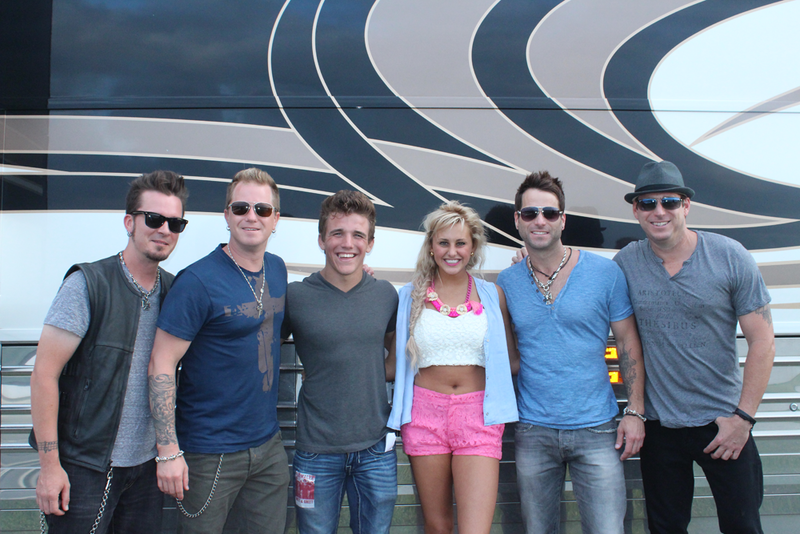 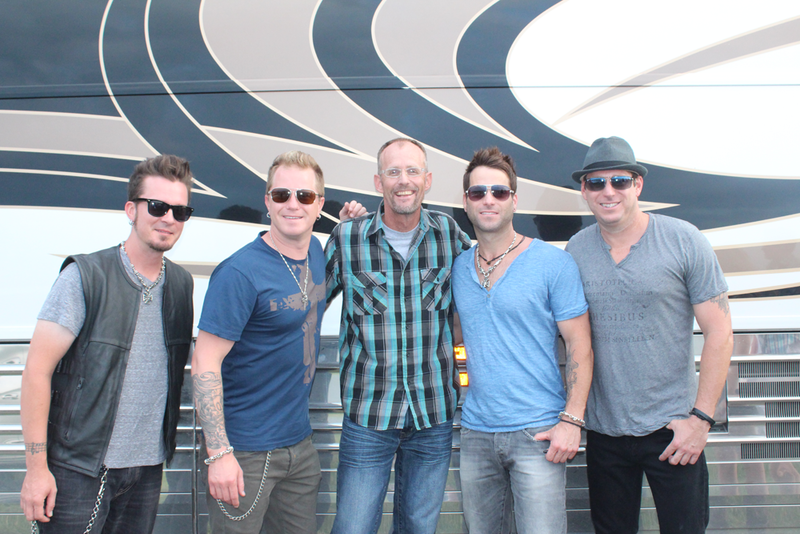 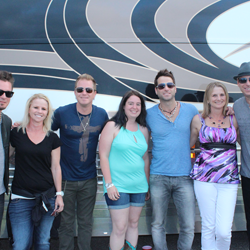 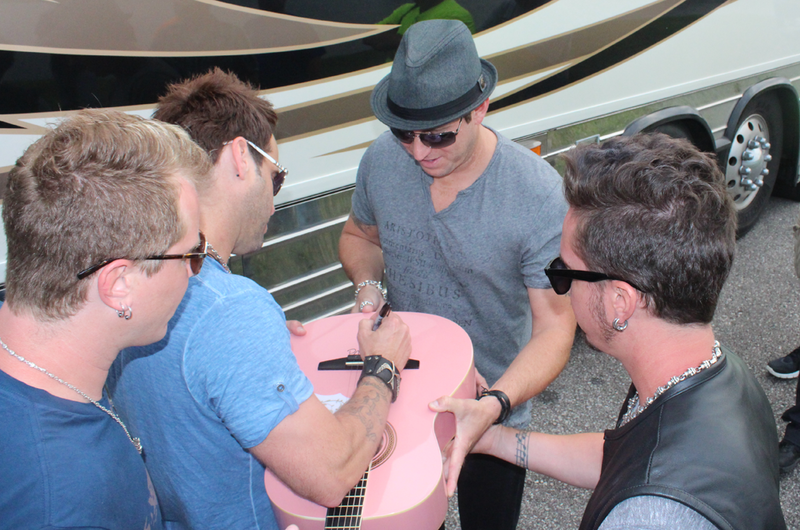 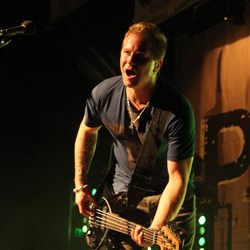 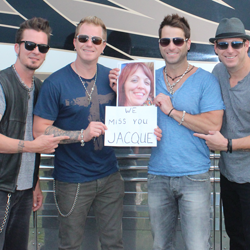 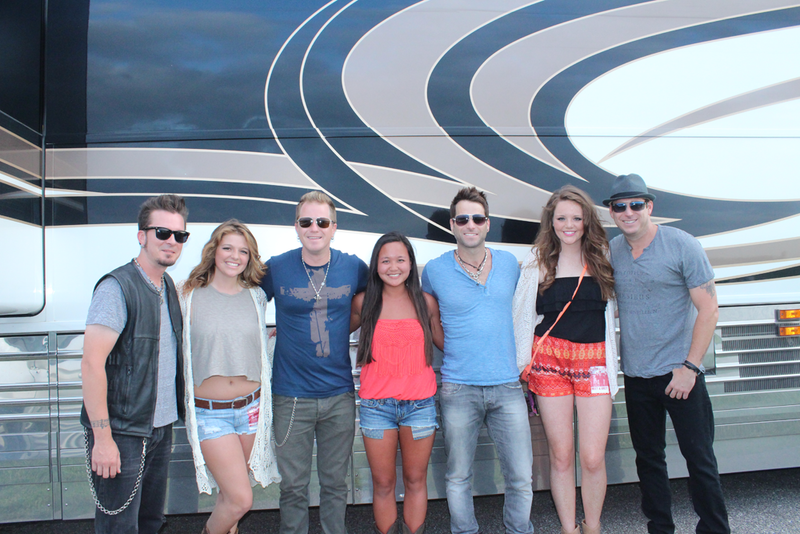 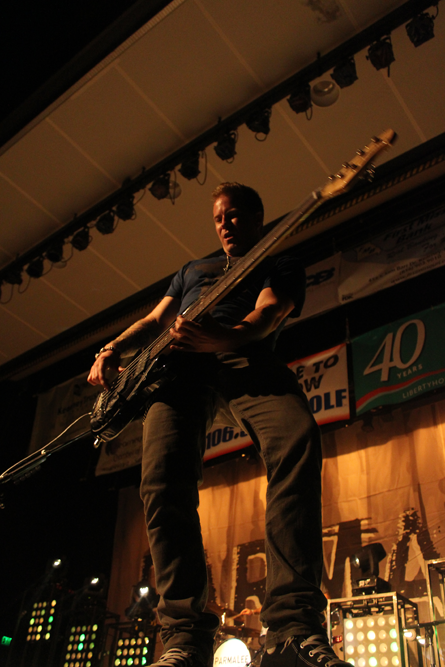 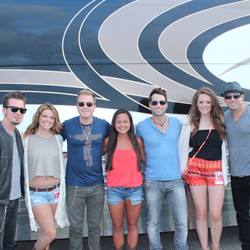 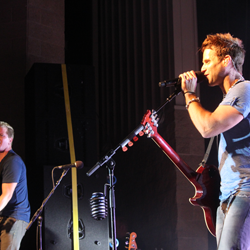 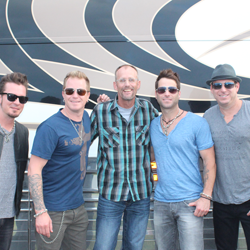 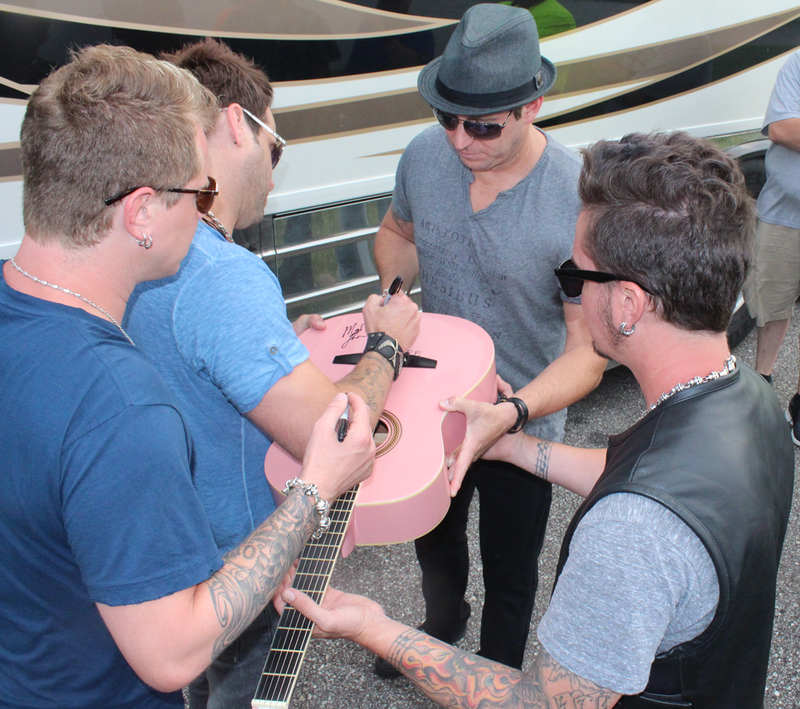 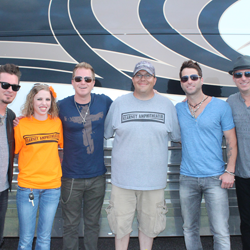 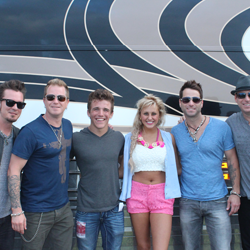 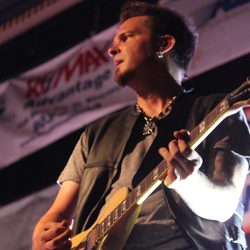 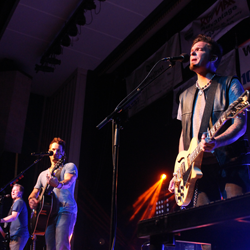 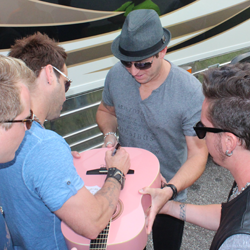 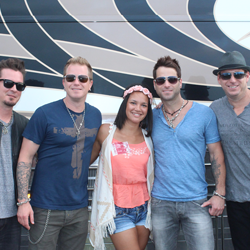 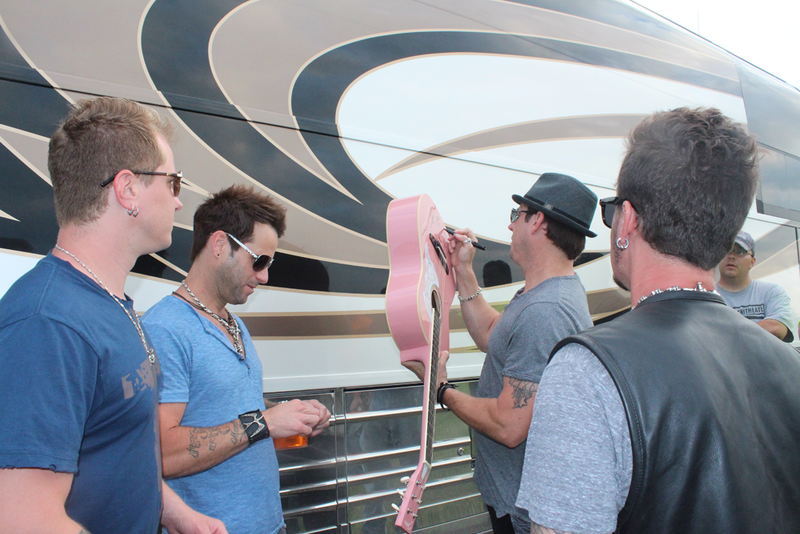 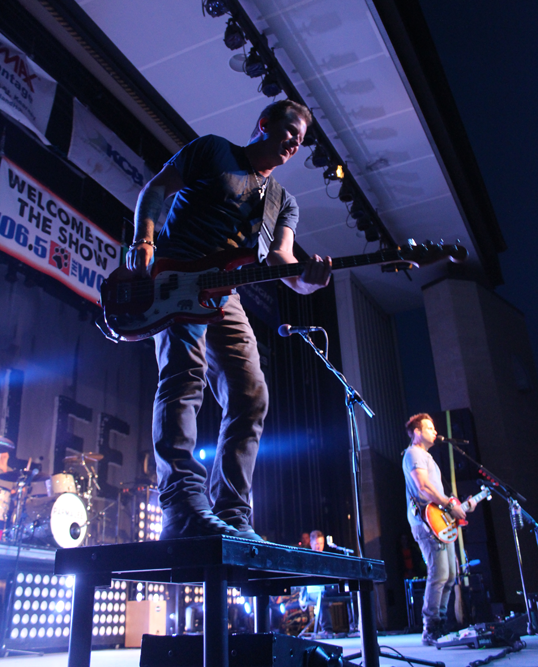 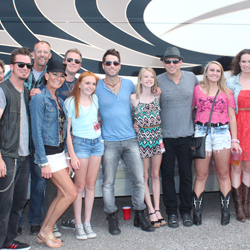 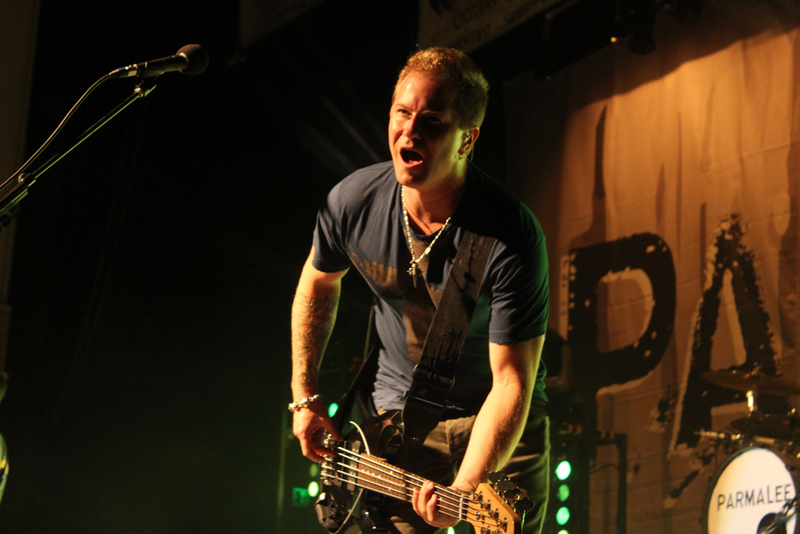 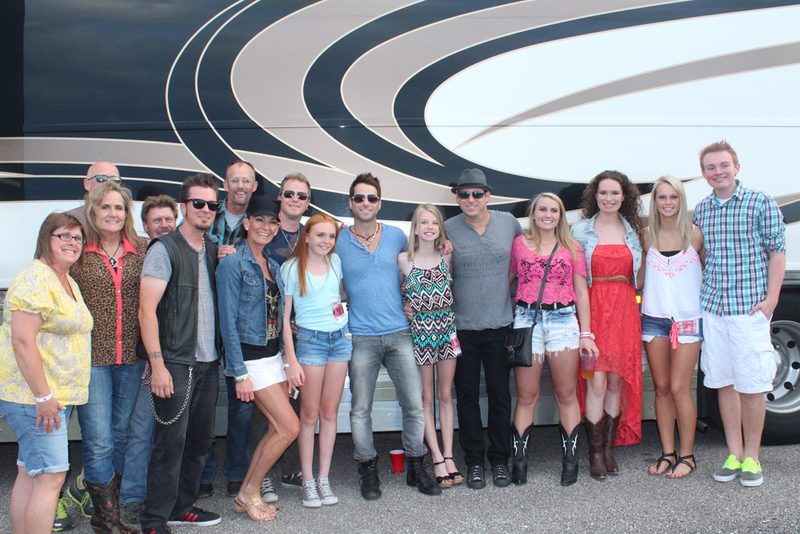 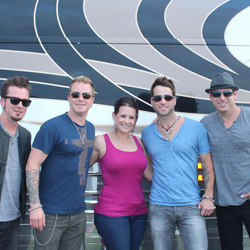 Parmalee was named a "Bubbling Under Artist" by Billboard magazine (June 2013) and one of Clear Channel's NEW! 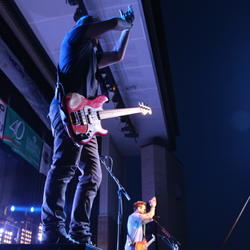 Artists to Watch in 2013. 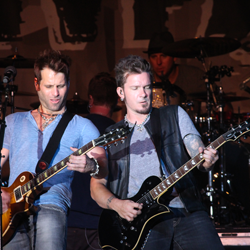 MTV Networks also hand picked Parmalee to perform as part of its 2013 O Music Awards and the foursome recently appeared on the 4th Annual American Country Awards. 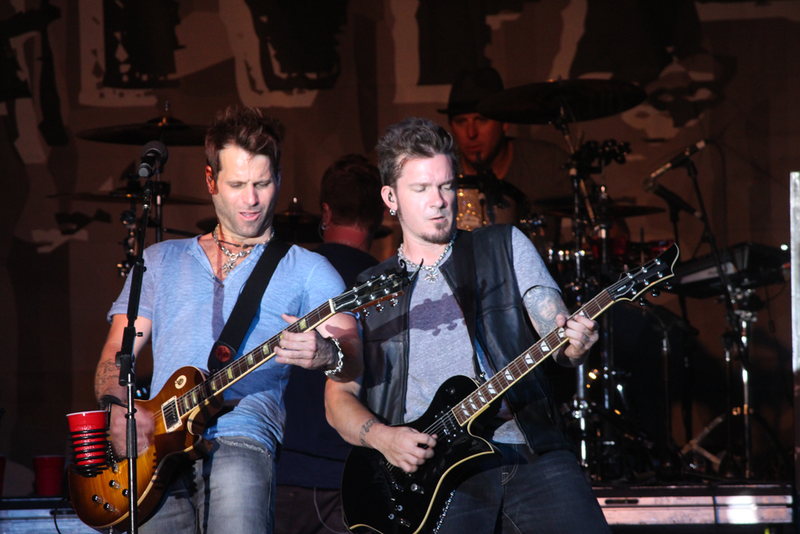 Parmalee recently made history when its multi-week #1 smash "Carolina" became the longest climbing single by a duo or group in the 24-year history of the Billboard Country Airplay Chart. 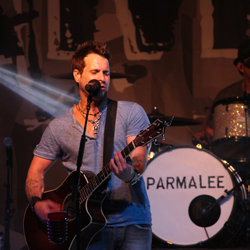 Parmalee was also the first multi-member Country act to garner a #1 single on both the Billboard Country Airplay and Mediabase/ Country Aircheck charts since Florida Georgia Line. 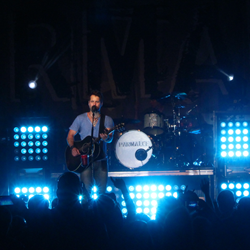 "Carolina" was recently certified GOLD (for over 500,000 in sales) by the RIAA. 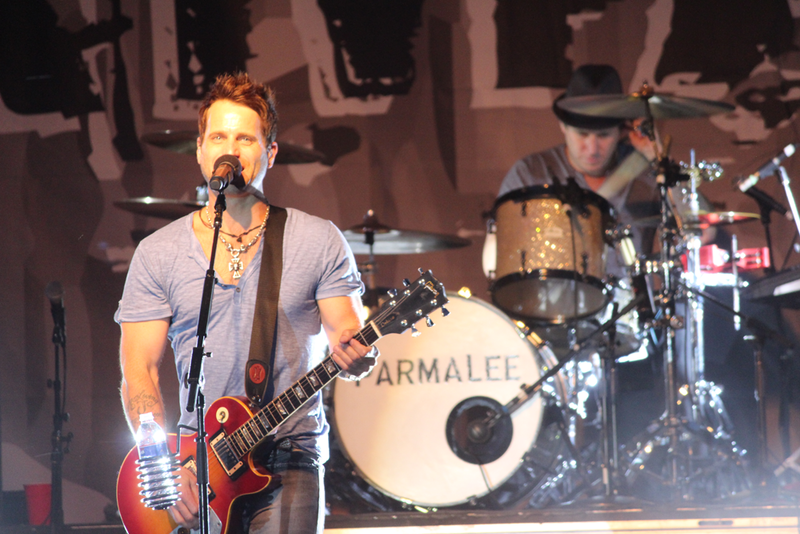 Parmalee's debut country album, FEELS LIKE CAROLINA, has earned critical praise from People, The New York Times, USA Today, Newsday, Billboard and more. 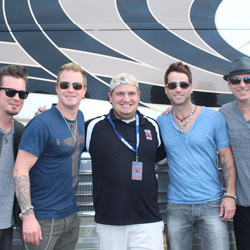 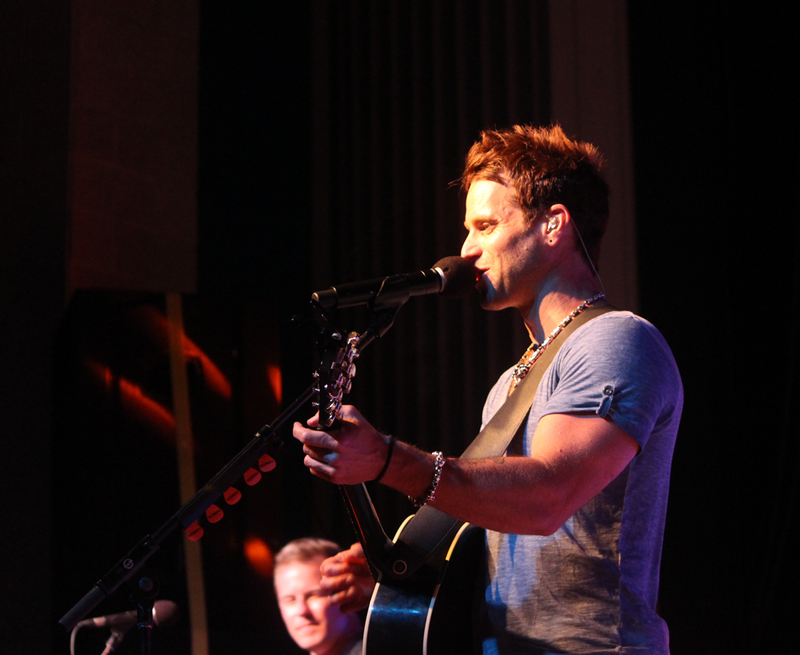 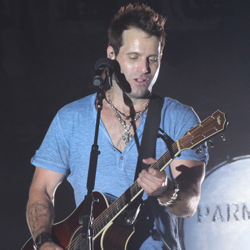 A 2014 semi-finalist for the Academy of Country Music's coveted "New Artist of the Year" award, Parmalee recently joined one of country's leading male vocalists, Jake Owen, on his Days Of Gold Tour as the band's new single, "Close Your Eyes" climbs the country radio charts.